As a watch enthusiast, when Matt asked me to review one for the site, I jumped at the chance! I have quite a few watches of different styles including both analogue and digital so the piece that I will be reviewing here is interesting as it combines both types of display into one watch in a unique way, kind of, sort of! Read on to find out more. 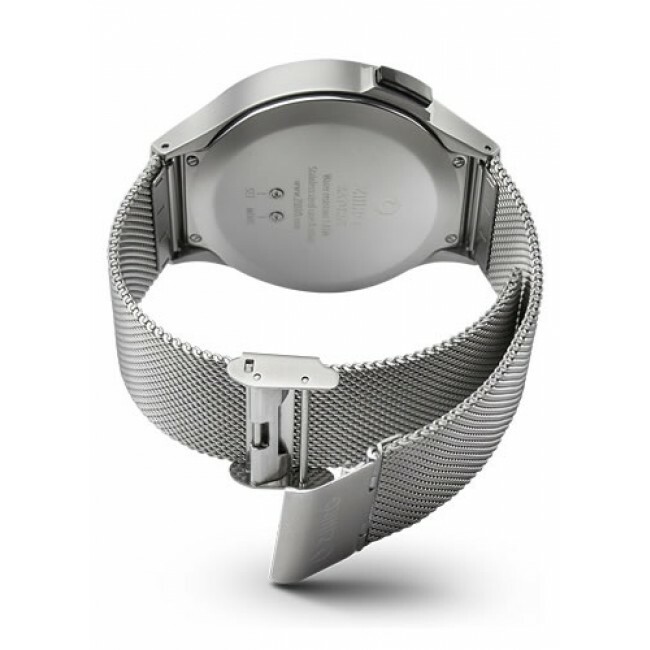 Starting with the more “normal” elements of the watch, it is constructed from 316L stainless steel and has a mesh strap that is also made from stainless steel. The case width is 45mm which makes this quite a large watch by most standards and the strap is 23mm wide and both combine to make this quite a striking looking watch even without taking the unique selling point of this watch into account. The watch sits well on the wrist and fits under a shirt cuff without difficulty. The watch is rated as water resistant to 30m which means that it is OK for doing the washing up but not for swimming really – this may seem odd but you need 100m for swimming in fresh water and 200m for salt water due to a number of reasons that are far too boring to be discussed on a website as interesting as this one! So what is it that makes this watch different? What we have here is a digital watch that represents time using an outer ring of 12 segments all the way around the dial, and inner ring of 60 segments and a center circle. 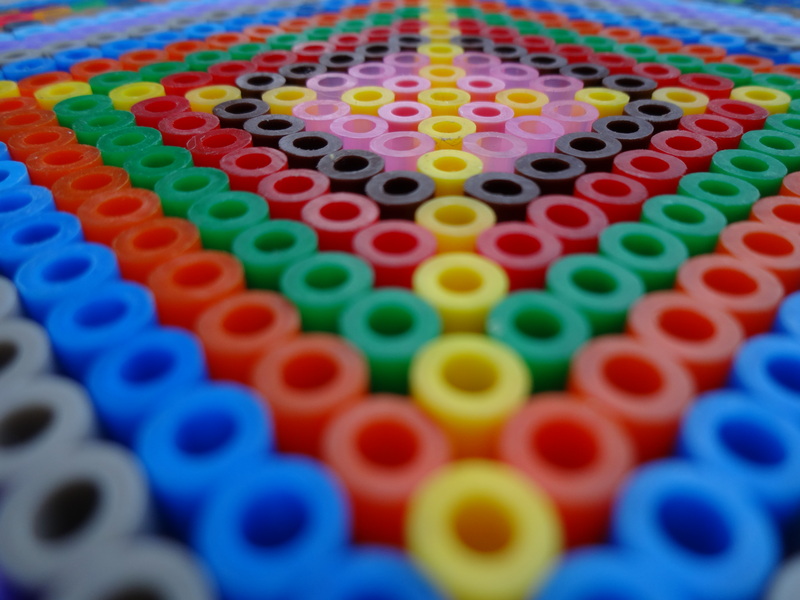 As you might have guessed the outer ring represents the hours, the inner the minutes but what about the center bit? Well that is used to show a.m. and p.m. When it is dark it is p.m. and when light it is a.m. This actually works quite well and the button at 2 o’clock illuminates an electroluminescent backlight that allows the watch to be viewed in darkened (even pitch black) environments. There are a couple of downsides to the display but they are in no way deal breakers if you like the other aspects of it. The first is that you really need to expose the whole of the face from under a cuff in order to see the time whereas with an analogue watch you can see where the hands are roughly pointing to with only about 2/3rds on show. Not too bad there then? 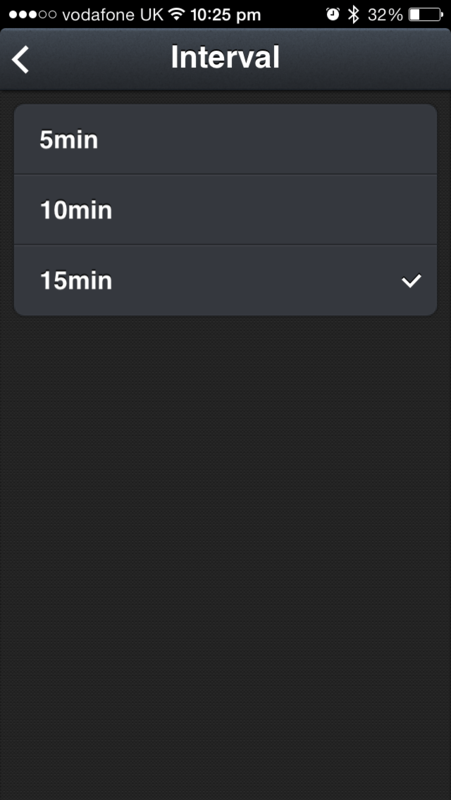 The second point is that it can be difficult to accurately judge minutes if the corresponding hour segment is not filled in. Again, not too terrible? I’ve been very impressed with this watch and it is a nice change from my regular collection of G-Shock and automatic watches. So you may be wondering how much this unique and interesting piece of horological technology costs? It retails for £145 at http://twistedtime.com/ which is maybe not quite in the impulse purchase price range for most people but is quite reasonable for a watch that will stand out from the crowd and it is extremely unlikely that you’ll see another on anyone else. You may have seen the review that I did for the “regular sized” Sony Xperia Z1 a short time ago and if not I suggest you take a few minutes to read that review as most of it is true of the Z Ultra but in a super-sized way. If you haven’t seen the unboxing Matt did you might want to check it out as it will give you some idea of the size and scale of the Z Ultra. 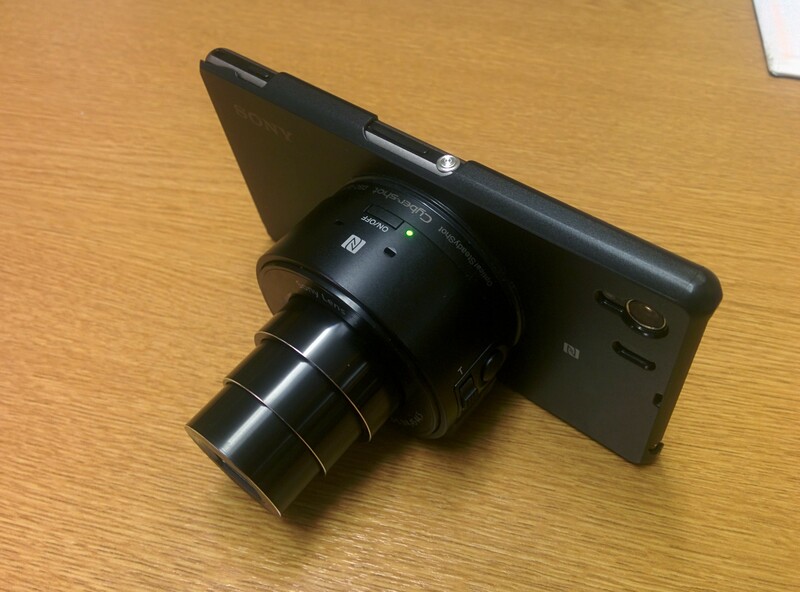 Having recently acquired a Sony Xperia Z1 for myself and already owning a DSC-QX10 Lens I decided to get myself a case for the Z1 which would allow me to attach the lens to the camera without the need to use the slightly chunky mount that comes with the QX10. 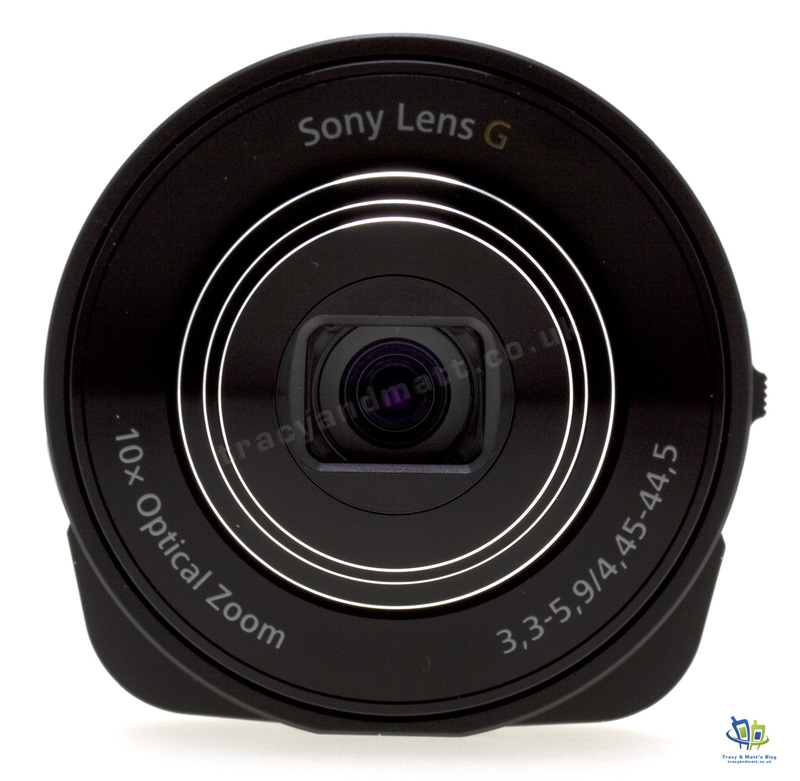 Sony now produce cases that will allow their two lenses to the Xperia Z, Z1 and Z Ultra in black and white finishes. 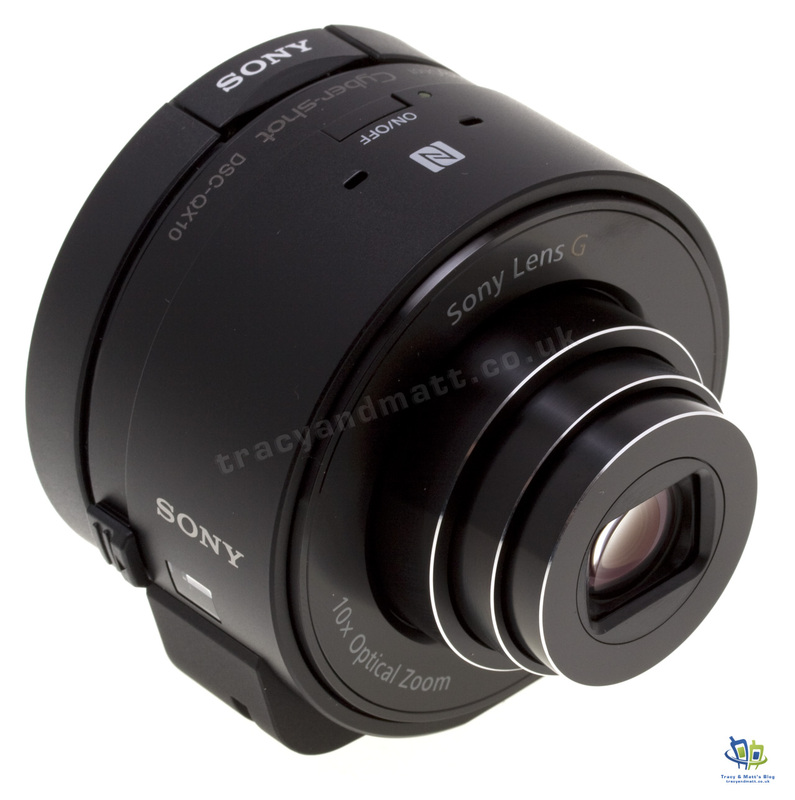 The price for the Z1 is quite expensive for what is (without the lens attachment) quite a basic case at £25 from the Sony website. I decided to give it the case a try anyway and when I received it I was quite pleased to note that the case actually solved one of my criticisms of the Z1 and Z Ultra, namely the glass construction and slim profile make both devices very slippery. The fit of the case onto the Z1 is, as you would expect from an official accessory, perfect and the lens attaches quickly and effortlessly. I was really impressed and decided that the Z1 with the case would be my every day device for my week long holiday overseas. The ease of attaching the lens to the phone made this my goto camera for the whole holiday and I found that i did not take my DSLR out of the safe once on the whole trip. The case did have one major downside however! 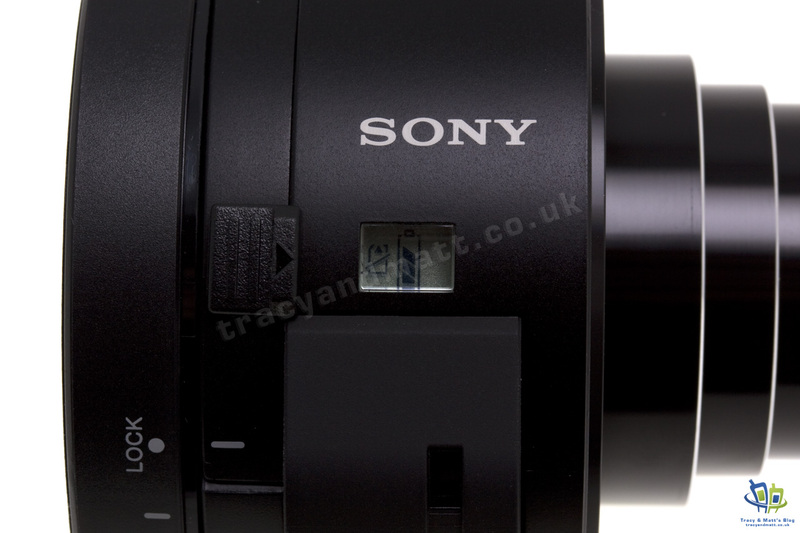 You may have noticed that the photos of the case and camera that I have shown so far are taken from the Sony website. The reason for this is that on the second day of my trip, whilst sitting and having lunch I heard a “crack” noise from my pocket. Upon inspecting the case, two corners had broken off and there was a crack down the back of the case. A quick web search reveled this to be a fairly common occurrence and that the normal response upon contacting Sony is to be offered a refund rather than an exchange. I managed to baby the case through the rest of the holiday but I will not be seeking a refund and I will, in fact, be purchasing a second one. The reason for this strange course of action is that during my research into the cracking problem, I discovered that many people have successfully removed the camera connection from the case and have attached it to an alternative case which is more durable. This is my plan as well and if I’m successful I will post up the results. 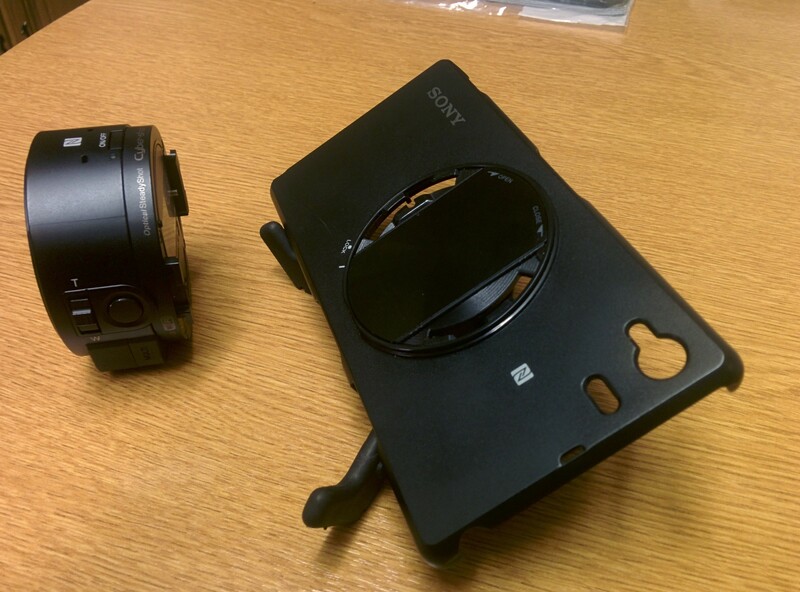 Here are some shots of the damage to the case and how the camera looks when it is attached. It is an exceptionally good idea that was let down by the execution. 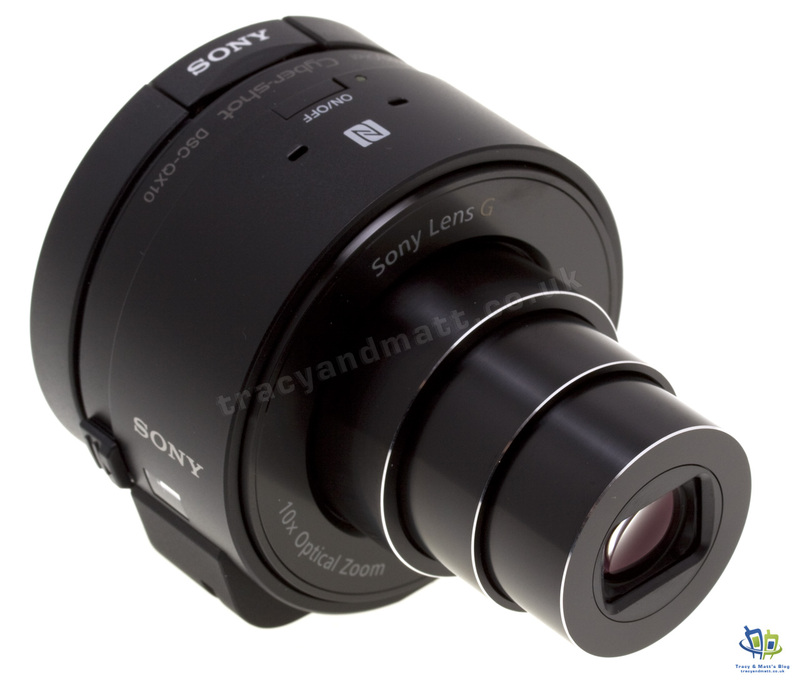 Towards the end of 2013 Sony announced that a firmware for the DSC QX10 and QX100 lens cameras for use with Smartphones would be released in January. With only a few days left to meet this target, the promised update has appeared on the Sony Asia support site. At the time of writing the UK site still doesn’t show the download. I updated my QX10 yesterday and the time taken to connect to my Nexus 5 has reduced drastically and the connection itself seems to be much more stable. These were two issues that I highlighted in my review and once I have had a chance to play with the the camera with the new firmware some more I will update the review with my new thoughts. The update was painless and all of the steps required are clearly explained in the updater software. 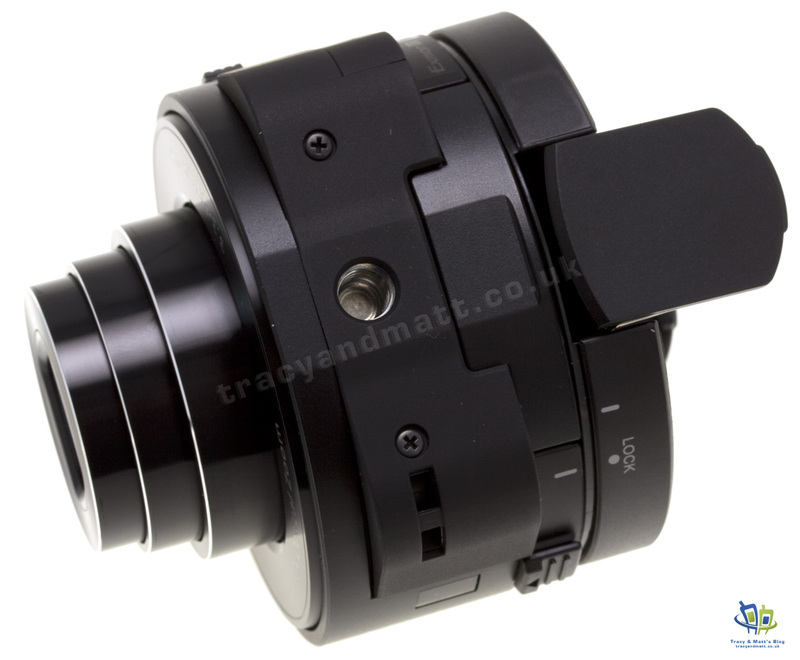 It seems that the existing firmware on the lenses is a mix of v1 and v0.1 so it looks like some units were sold with an earlier release and no update was offered. If you’d like to grab the update now, try these links. How to get faster charging on a Nexus 5? Sometimes you can stumble on a feature in your smartphone that seems so simple but can completely change the ways that you can use it. I have been finding that my car stereo was struggling to put enough power out through its USB port to even maintain the battery level, let alone charge it whilst I was using it to play music over bluetooth. This seemed strange as it had no problems providing plenty of power to charge my older iPhones even whilst I was using them for navigation and music playback. A little investigation revealed that when plugged into a standard USB port with a standard cable, a slow charging mode is enabled and that when the same cable is used with the wall charging plug that came with the phone, the Nexus charges much faster. This is known as AC mode. 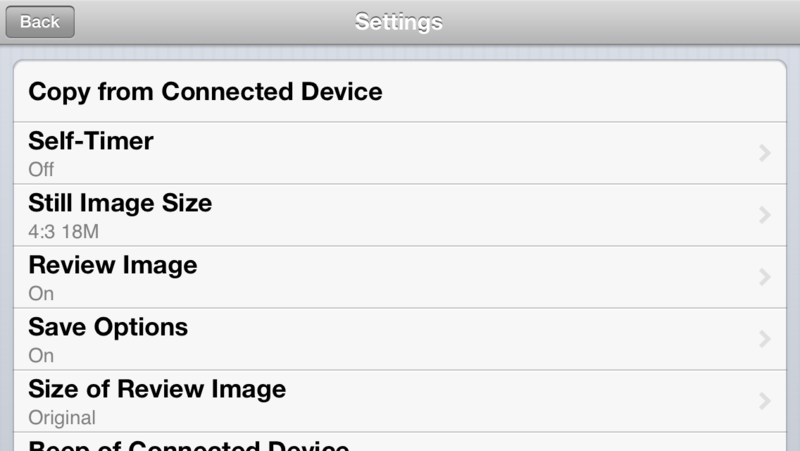 Proof of this can be seen in the battery status section of the settings App. So how can we speed things up when in the car or elsewhere I hear you ask? 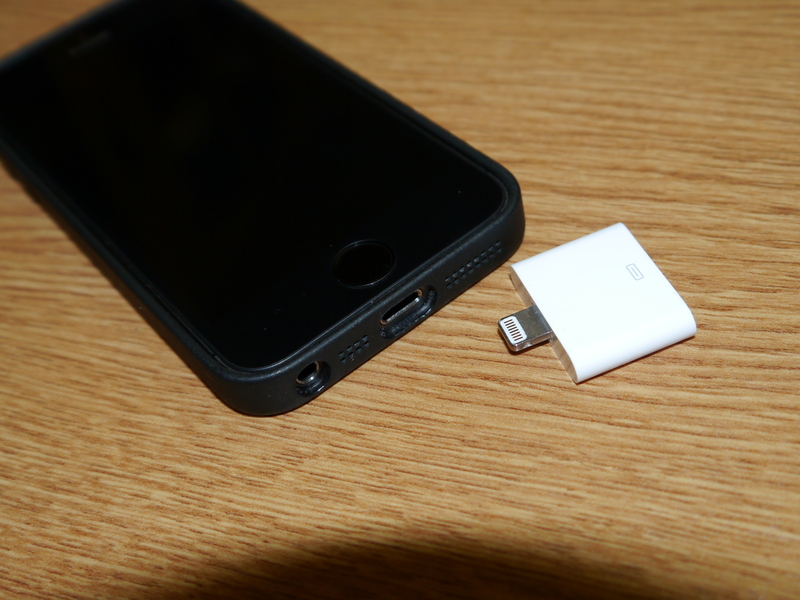 Use the original charger that came with the phone or another high output 2.0A third party adapter. 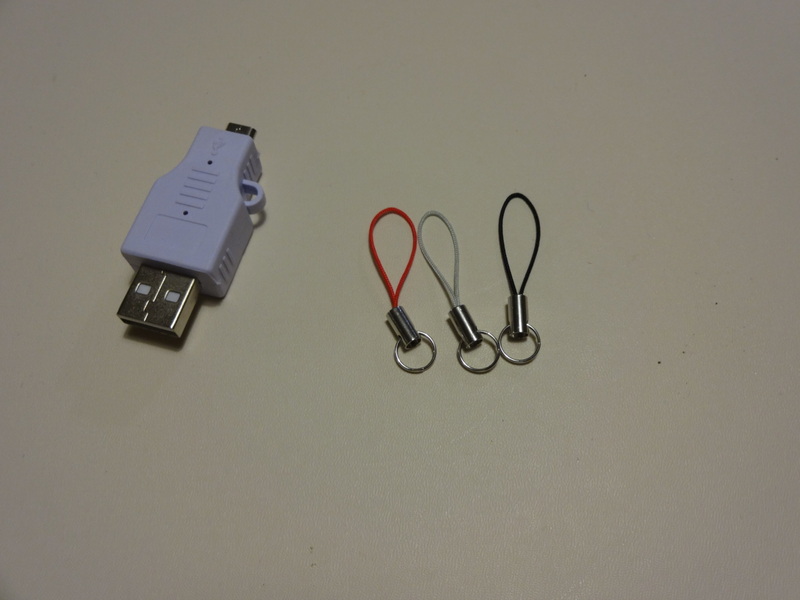 Get a dedicated charging cable (this will not provide the ability to sync if connected to a computer). Find a dedicated 12v car charger that has the correct functions. 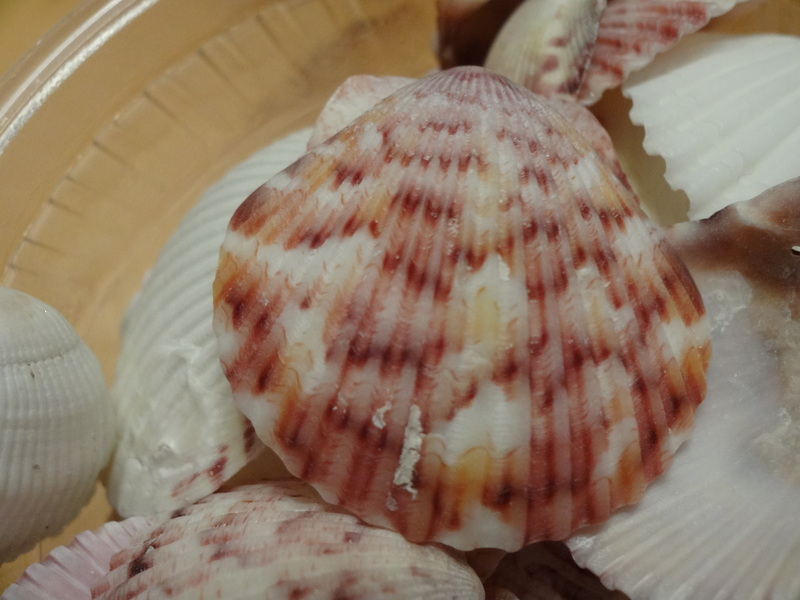 As my particular issue was in the car, I decided to pursue the second two options and a quick trip to a popular online store highlighted a couple of viable options. 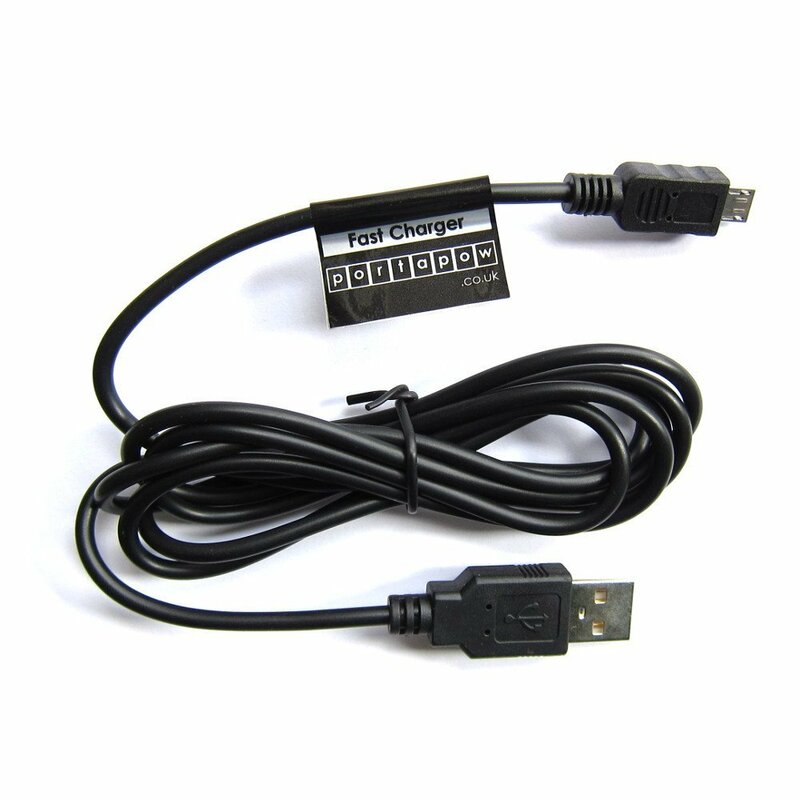 PortaPow Specialised Fast Charging Micro USB Cable and PortaPow 2.5A Universal Dual USB Car Charger. As I have a car stereo which should have a pretty decent output from the on-board USB port I decided to give the cable only solution a go. 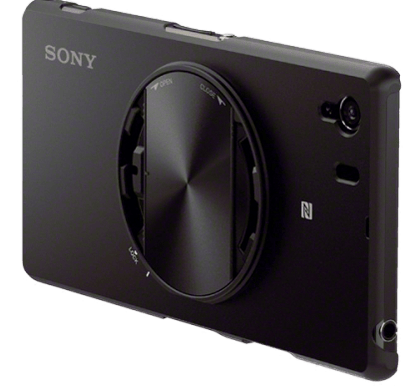 The Sony DSC-QX10 and DSC-QX100 lens cameras for use with smartphones seem to have polarized opinions in the press with regard to their usefulness with some critics claiming that they are products that are looking for a purpose. 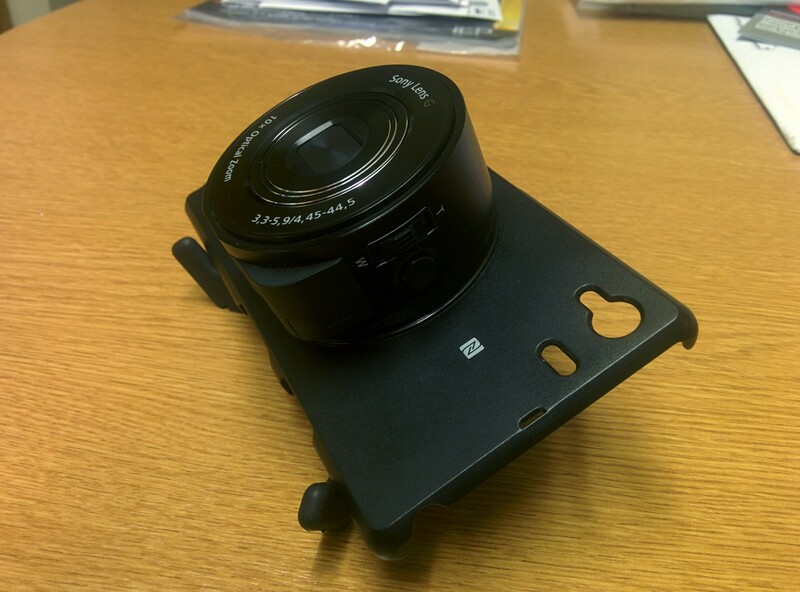 Here we will be reviewing the base model DSC-QX10 camera using both Apple and Android smartphones. 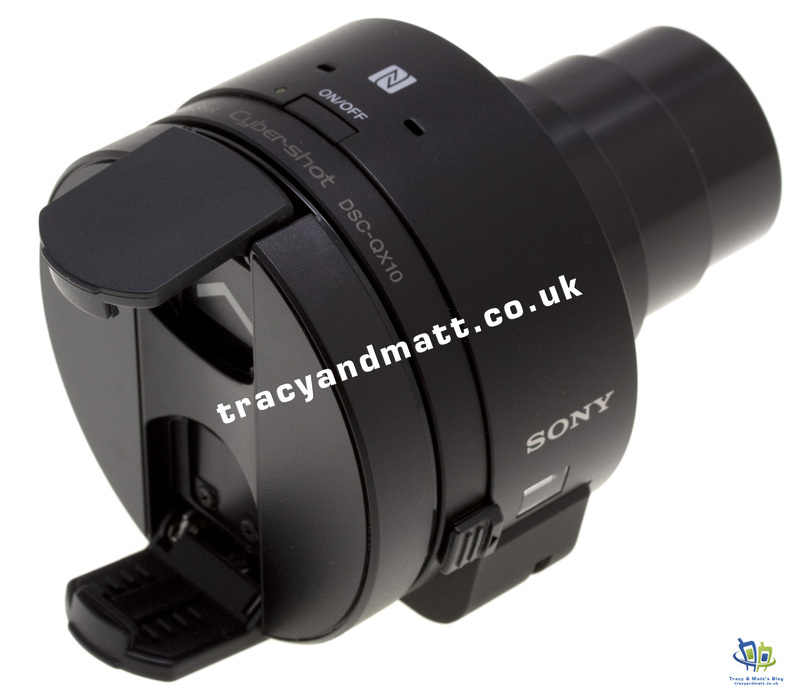 If you haven’t already seen Matt’s unboxing and hands-on video, please take a few minutes to get an idea of what the Sony QX10 is all about. Price: RRP £180. Available from £135 from various on-line retailers. 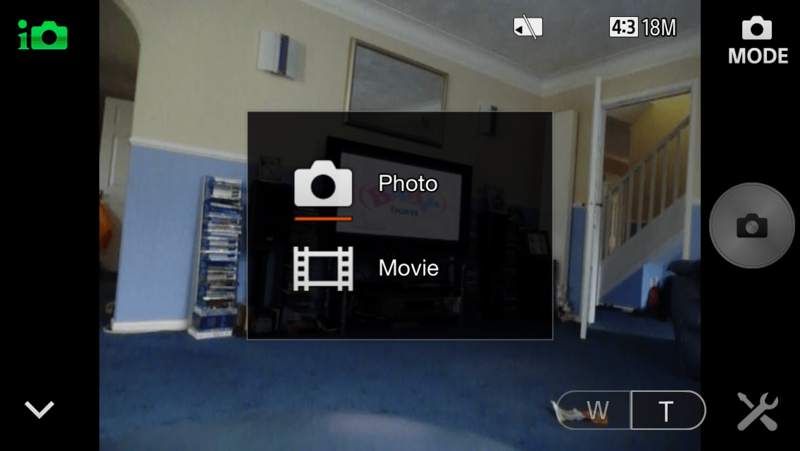 Summary: An add on camera for iOS and Android devices. 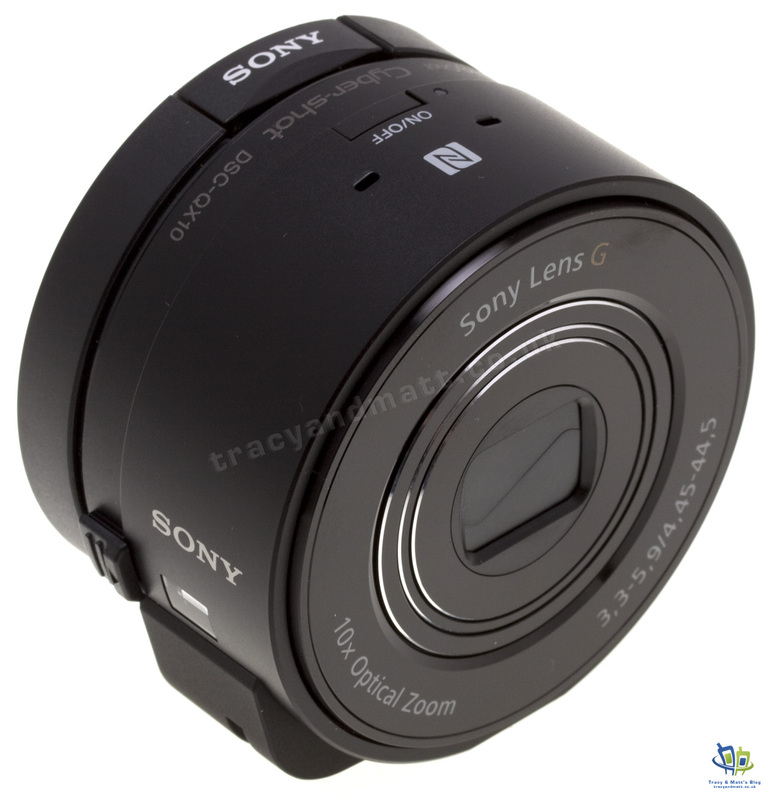 Best of: Picture Quality, focus speed, 10x Optical zoom. Worst of: Occasional connection slowdowns. Currently not fully compatible with Android 4.4. I think that it is probably worth starting off by saying what the QX10 is and what is does and doesn’t do. 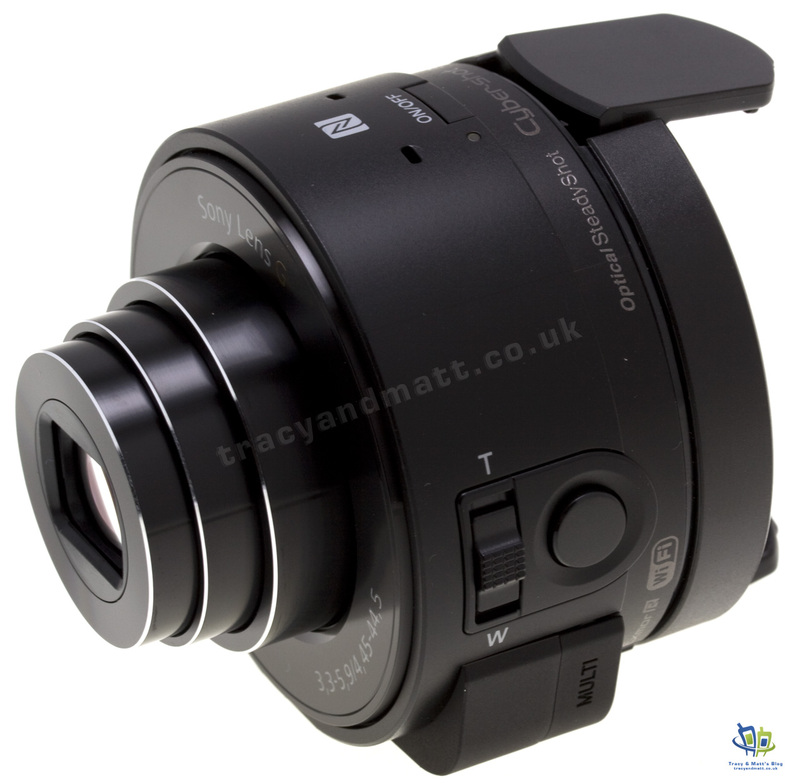 Put simply the QX10 is a compact camera that is missing a screen or viewfinder and most of the controls. 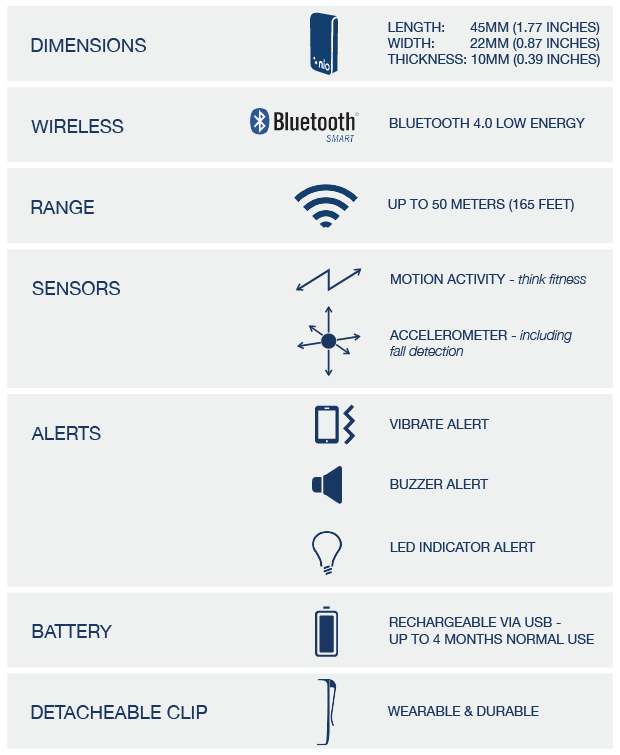 The reason that these normally important features are missing is that you can access them by using your smartphone! 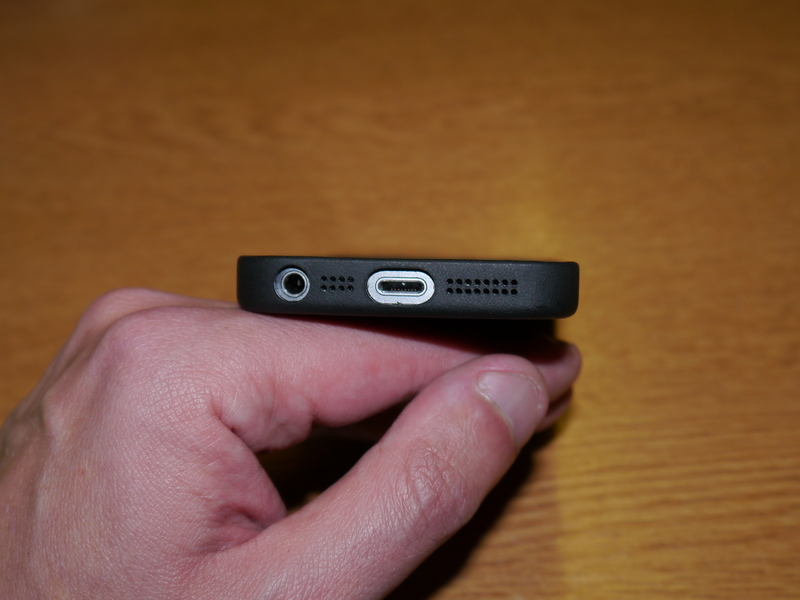 The QX10 incorporates WiFi into it and by connecting the two devices together. On an iPhone it is simply the case of switching the camera on and going to the WiFi settings on the phone and pairing them. 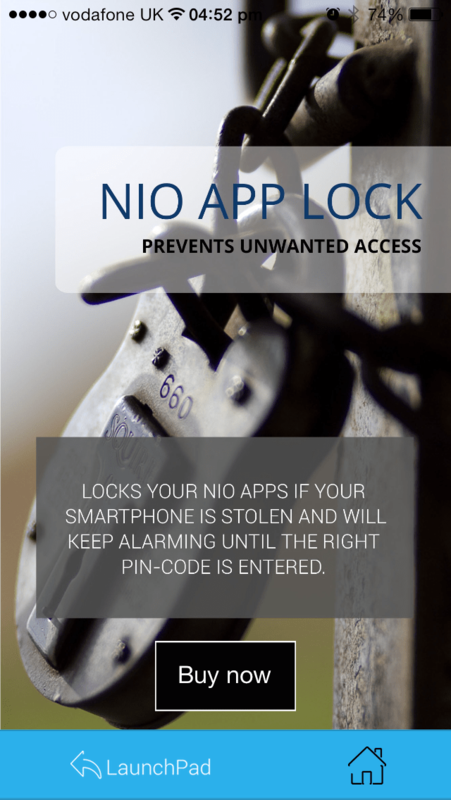 On a Android phone with NFC it is even more simple. 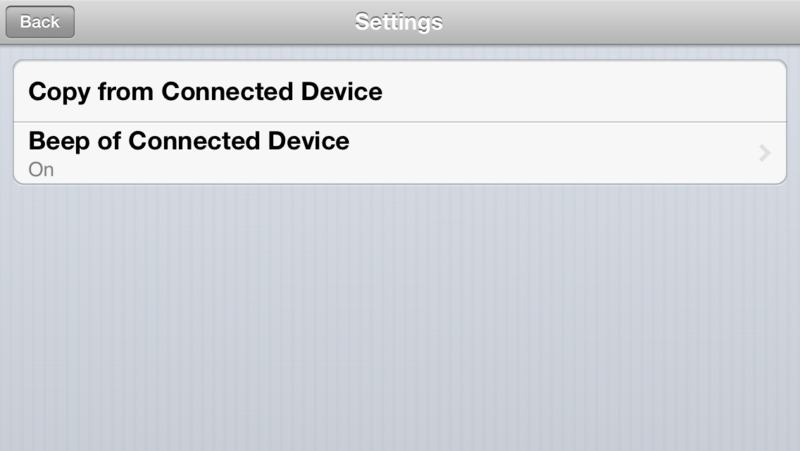 Just touch the two devices together and the paring process starts. Once that is done The Sony Play Memories App can be downloaded form either The Apple App Store or Google Play and off you go. 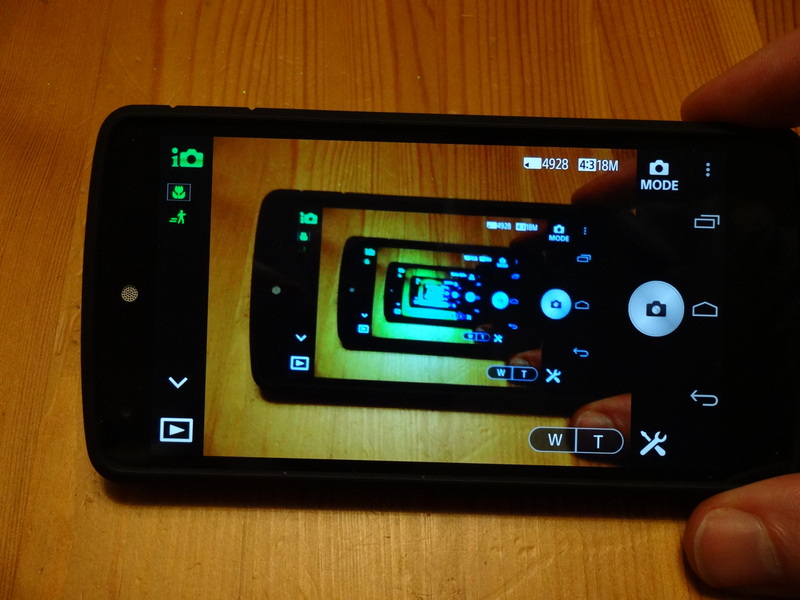 Whatever the lens sees is shown (almost) immediately on your smartphone screen. The reason that I said almost is that there occasions when it seems to go a little laggy but generally it is fast and stutter free. 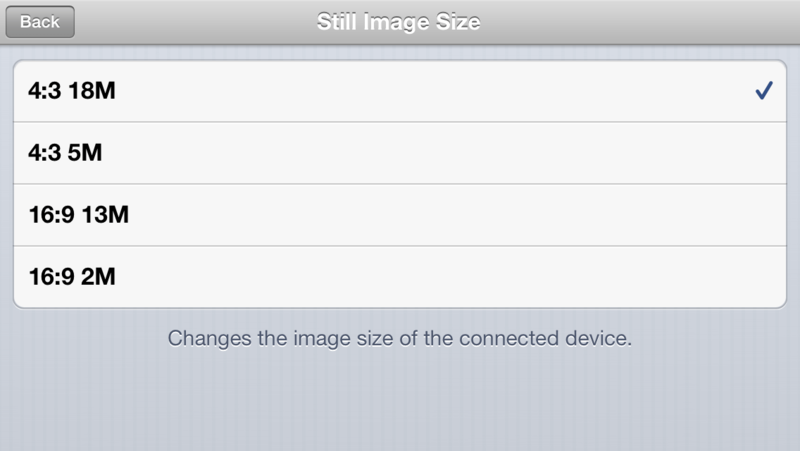 Settings for the camera can be adjusted using the app. These include the photo or video mode, the photograph resolution, the image size that is automatically transferred to the phone and the sounds that the camera makes. 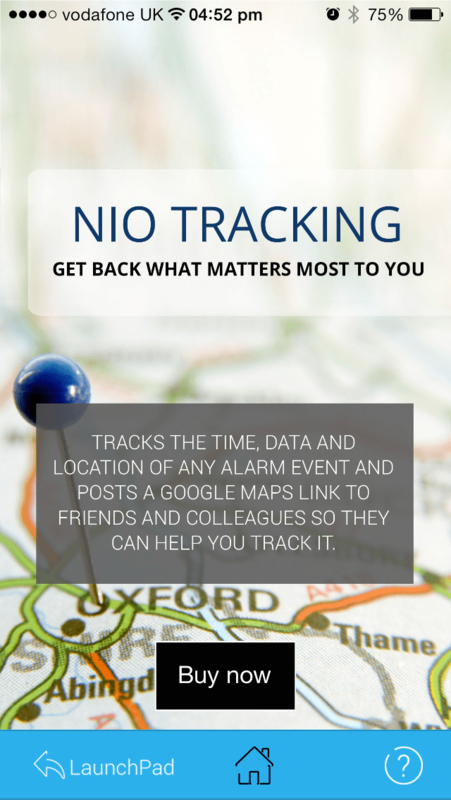 It is a very simple app and for the most part performs very well. One current downside to the Play Memories app is that it currently does not support Android 4.4 KitKat. As I have a Nexus 5 as my personal device this did cause a few moments of head scratching but I discovered that Camera360 has recently been updated to connect to the QX10 although video mode is not supported. What is it like to use and does it really serve a purpose? I am quite a keen (if not very good) photographer and I am generally not keen on using the cameras on phones to record anything other than quick photos for social media sites. I’ve usually got a camera of some kind available whenever I am out and about and often with a collection of lenses in a bag. I very often take a shot with my camera and then a second with a phone to share straight away. 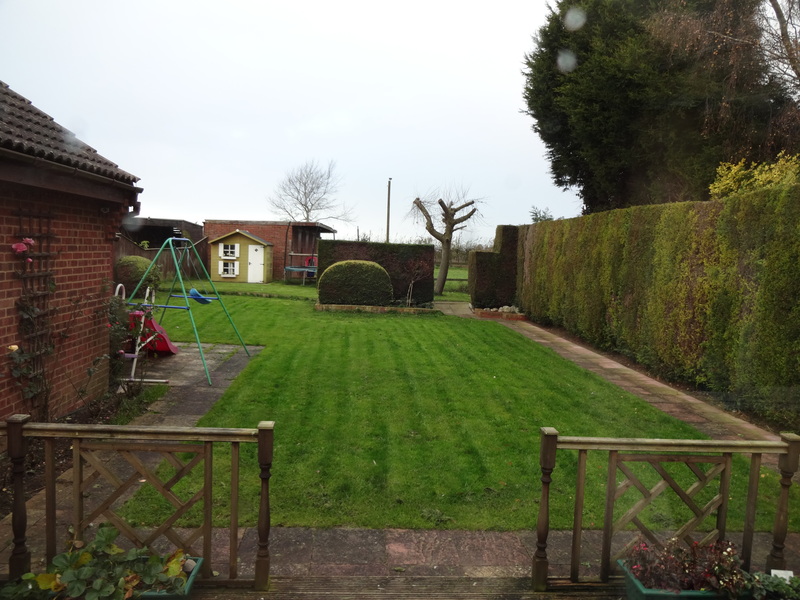 With the QX10 these issues suddenly disappeared! 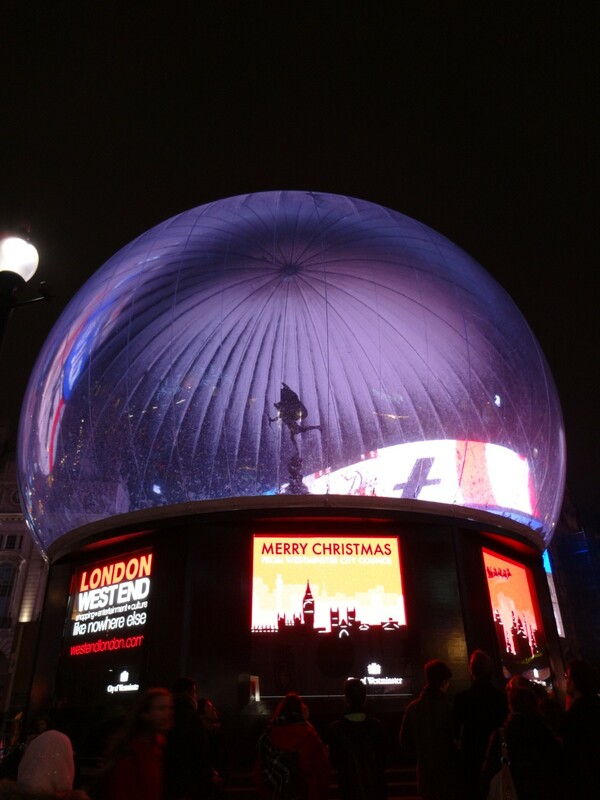 I was able to keep the QX10 in one pocket and my phone in another and when I wanted to grab a shot, there was a simple less than 10 second process to switch on, attach to phone and open the app to get the shot. You can also use the lens in one hand and the phone in another to get shots that you normally would find hard to frame. 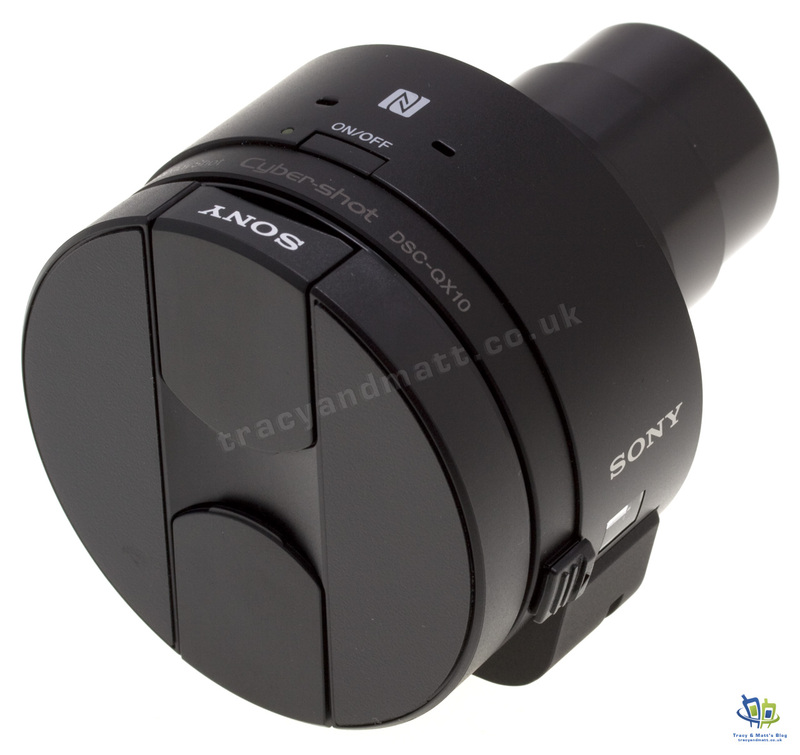 The QX10 has a thread for a tripod so it can be set up in a location and remotely controlled and viewed which might be useful if you like to do wildlife photography. I would not try to claim that this camera could ever replace a DSLR, m4/3 or Sony NEX camera but it allows another option when choosing the kit that you need. 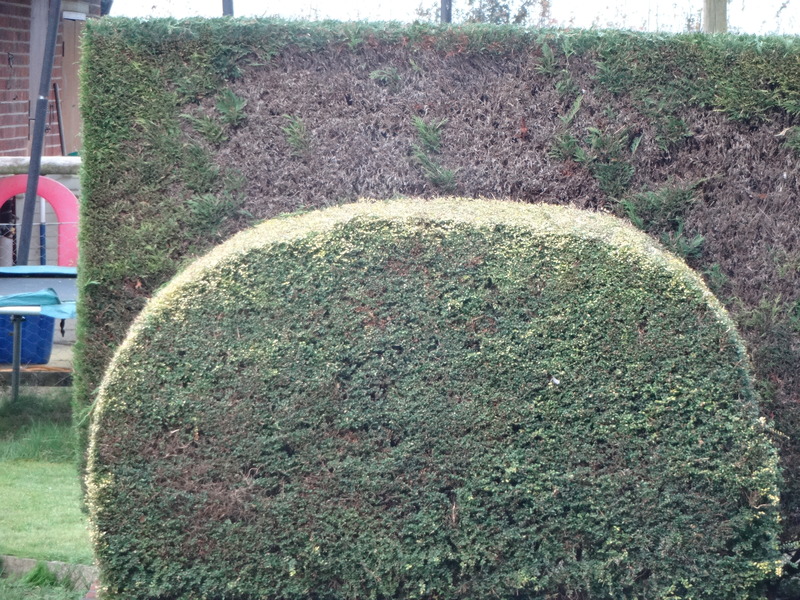 I would happily take it out on its own though and know that the shots that I brought back would be excellent! I found the QX10 to be a really fun camera to shoot with and a couple of my photographer friends who tried it out agreed and have ordered their own. 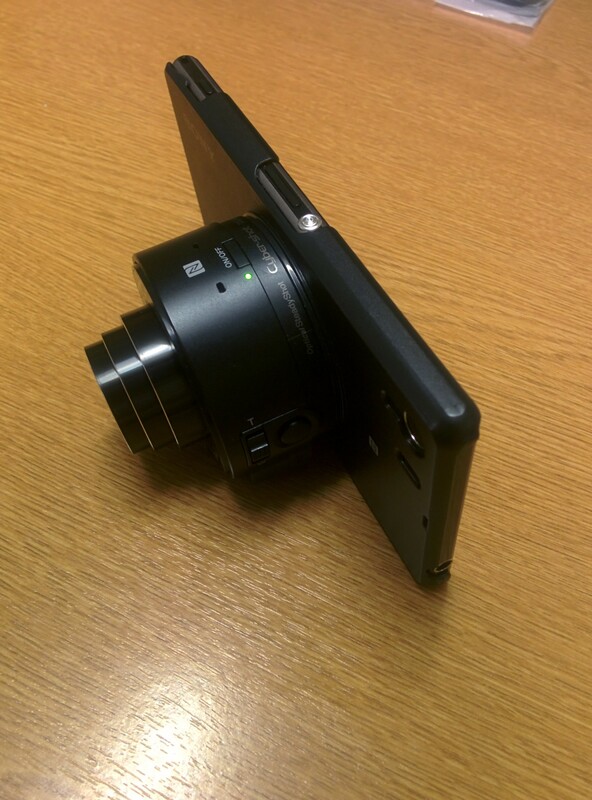 As a video camera the QX10 is very capable and is able to capture 1440x1080p video at 30 frames per second. 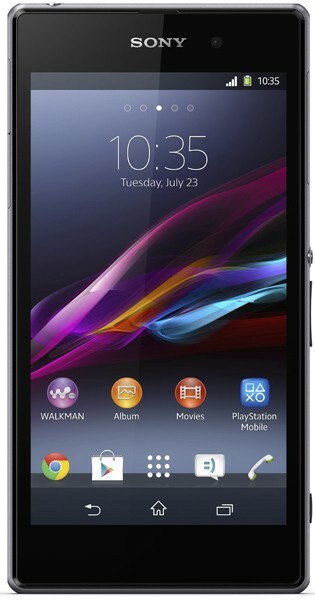 Matt recently used it to record the unboxing of the Sony Xperia Z Ultra recently. 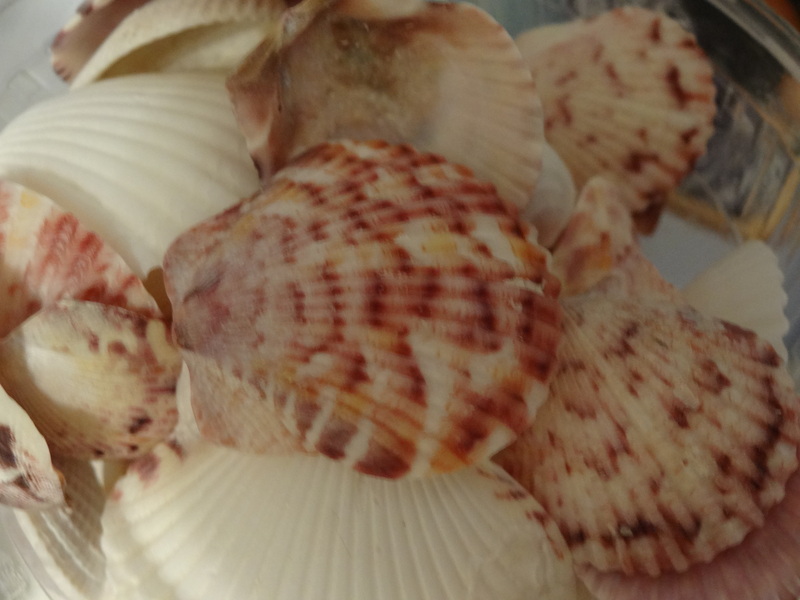 All shots are straight from the camera memory card and were taken hand-held. Macro Mode, object amost touching the lens! 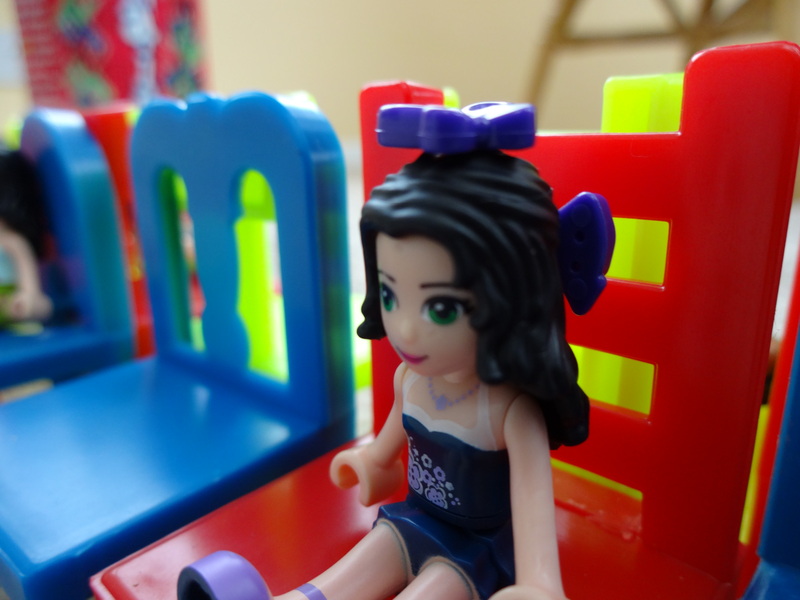 The Sony DSC-QX10 was the 1st device in a long time that has truly amazed me! The slightly laggy response from the viewfinder was forgotten every time I used the camera. I would say that if you are considering the QX10 or that if you are curious about it, you would probably enjoy it as much as I do. If you think that it’s a silly idea then you should try one out – I think you’ll be pleasantly surprised! Sony have have been releasing some excellent phones recently that are capable of competing with the the best in the market. 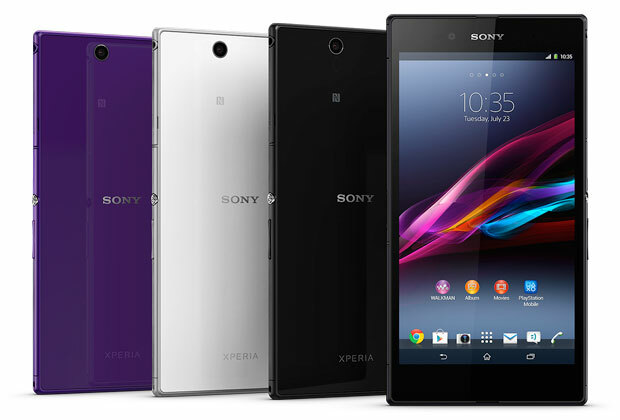 The Xperia Z1 in this review has a specification sheet that has everything that one could ask for and uses all of the latest internal hardware. 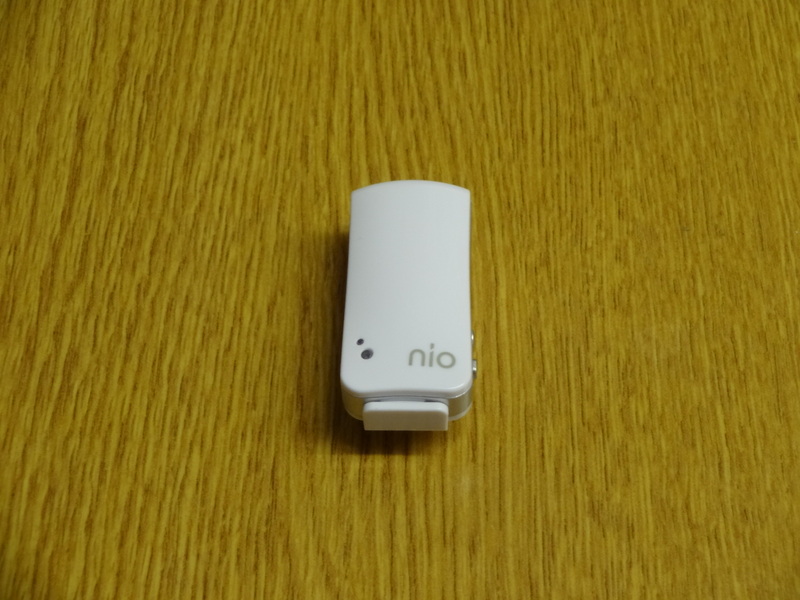 Can it bring everything together to create excellent device? To find out please read on, but not before watching the Sony Xperia Z1 unboxing and initial impressions video from Matt,if you have not already done so. 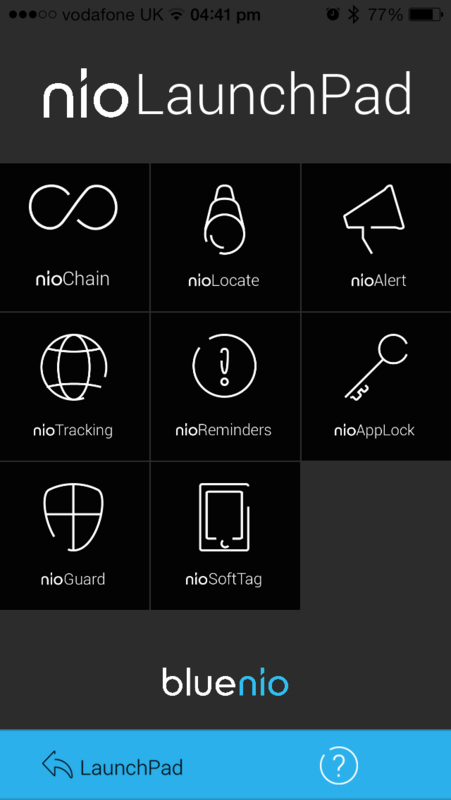 The Nio Tag from Bluenio is a Bluetooth Low Energy device that pairs with an iPhone (4S, 5 or 5 S) or iPad (Mini, 3, 4, Air or Retina Mini) to create what the company calls a wireless chain to protect your smartphone or tablet. 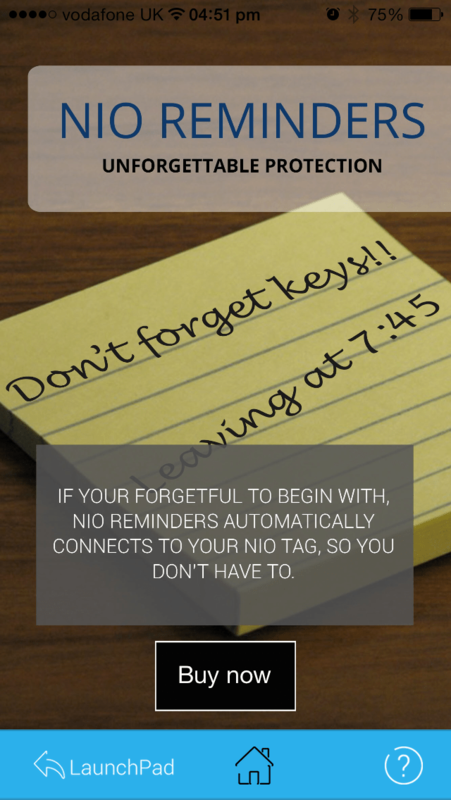 The Nio Tag can be used in one of two ways, either to carry the tag itself in your pocket to alert you if your phone get left behind or taken or the tag can be placed on any item of clothing, luggage or any other item that you don’t want to leave behind or have taken. The company’s website even suggests that this could be your child or pet. The pairing process is quick and easy and all takes place through the requires app which can be downloaded from the Apple App Store. An Android version is also supposed to be available but it is not showing on Google Play for me. This may be because the number of Android devices with Bluetooth Low Energy is still very limited and Android 4.3 as a minimum is also required. 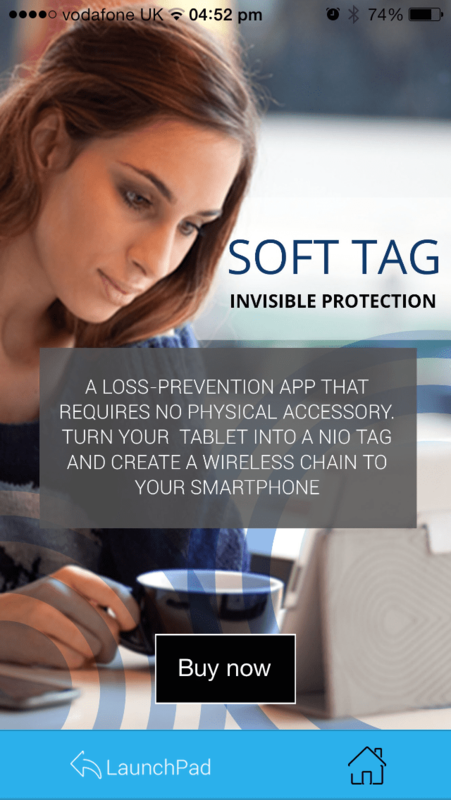 The distance that the tag and smartphone can be separated by before the alarm will sound can be configured within the app or if you really want to make sure that nothing goes missing it can be set to a movement alarm so that any movement of either device will trigger trigger the alarm. 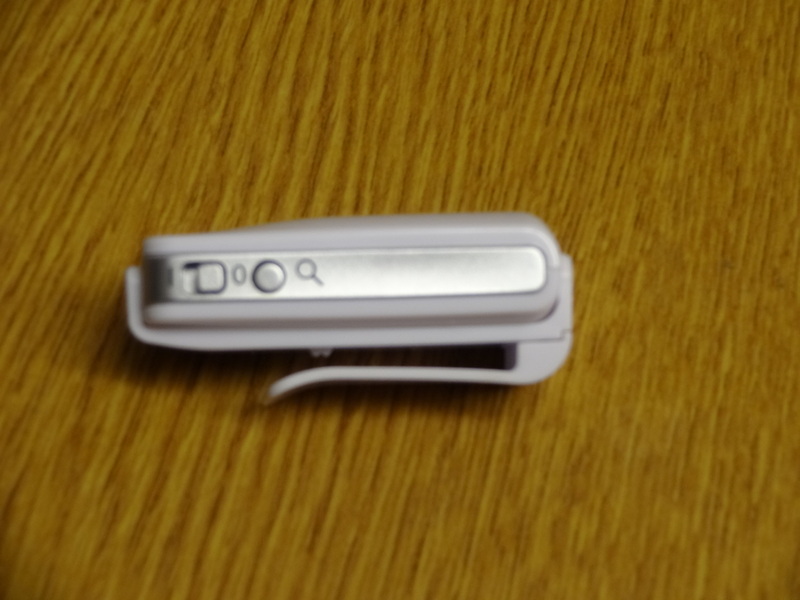 A final function of the tag is a small button on the side next to the power switch which will activate the alarm on the connected smartphone so that you can locate it. 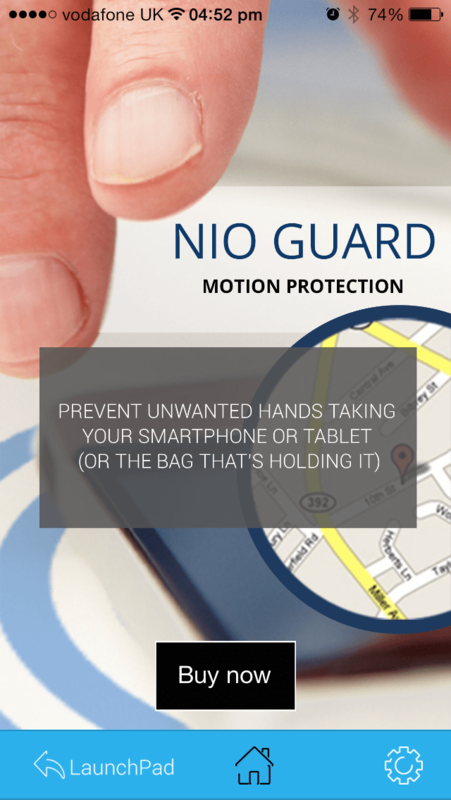 This can be quite useful in a number if scenarios for example, you may have young child who likes to hide things. 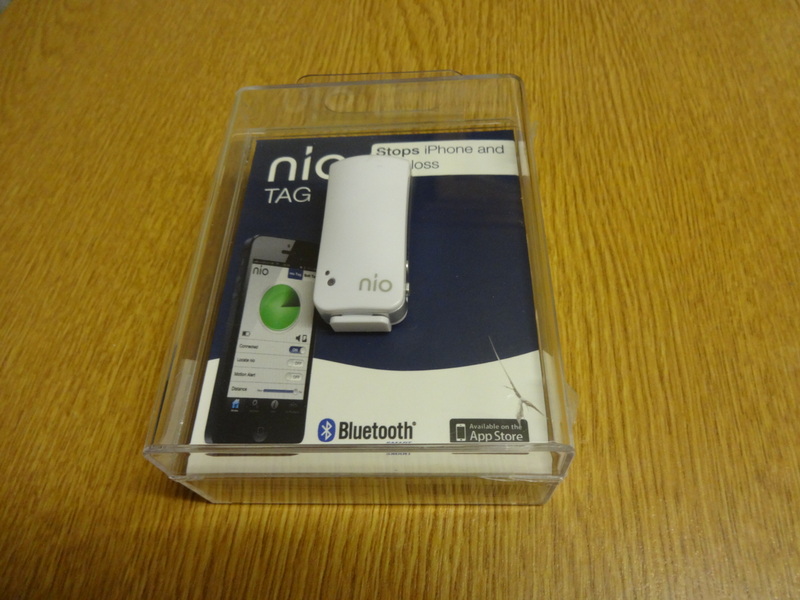 The packaging of the tag says that it will last for 3 months on a full charge and my own experience of Bluetooth LE devices shows that they have very little effect on the battery life of the smartphone that they are connected to. 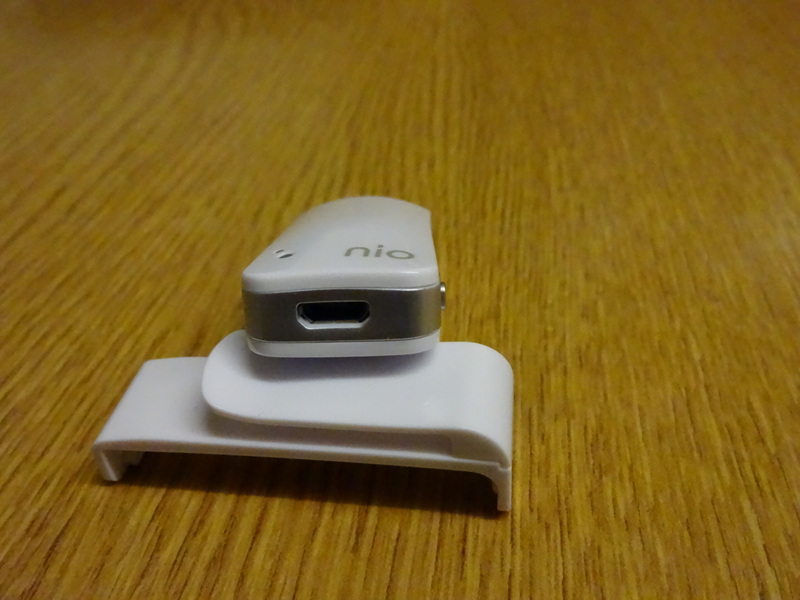 The Nio Tag is available from www.bluenio.com and is priced at £34.99 for the white as reviewed here and a black version is available for pre-order for the same price. 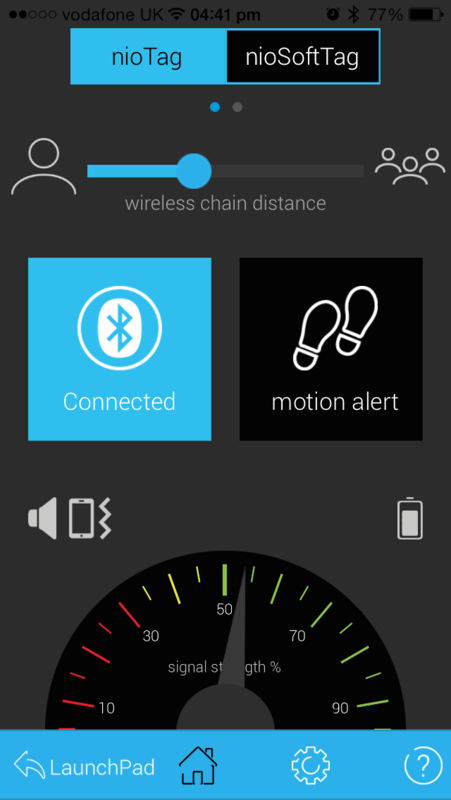 Smart watches – Is less information more useful? There has been much talk recently about the subject of wearable technology in general and smart watches in particular with many of the main players in the mobile phone industry already making or rumoured to be about to announce products. A few established watch manufacturers have also now started to get in on the game. 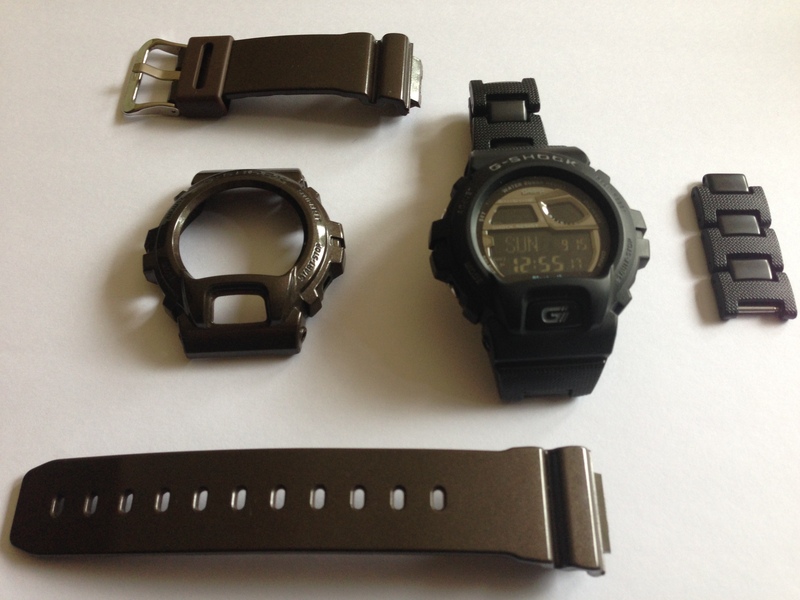 The subject of this review comes form Casio and is part of their long established G-Shock line of watches. 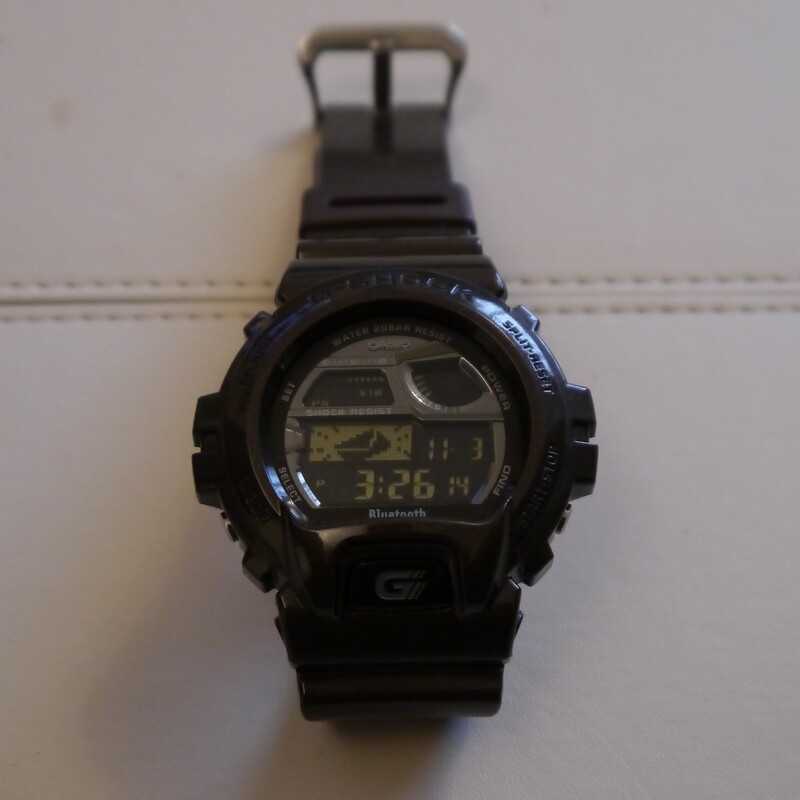 Casio Launched their first G-Shock watch back in 1983 and many of the early styles have gone through an evolution process that has seen them gain solar battery charing and atomic time keeping. Arguably the most advanced pair (the GB5600 and GB6900) now also incorporate Bluetooth 4.0 LE technology. Both of these watches are the most iconic styles that Casio produce. The design of the GB6900 dates back to 1994 and has been worn by many musical stars and this led to a large number of collaborations with various clothing manufacturers. 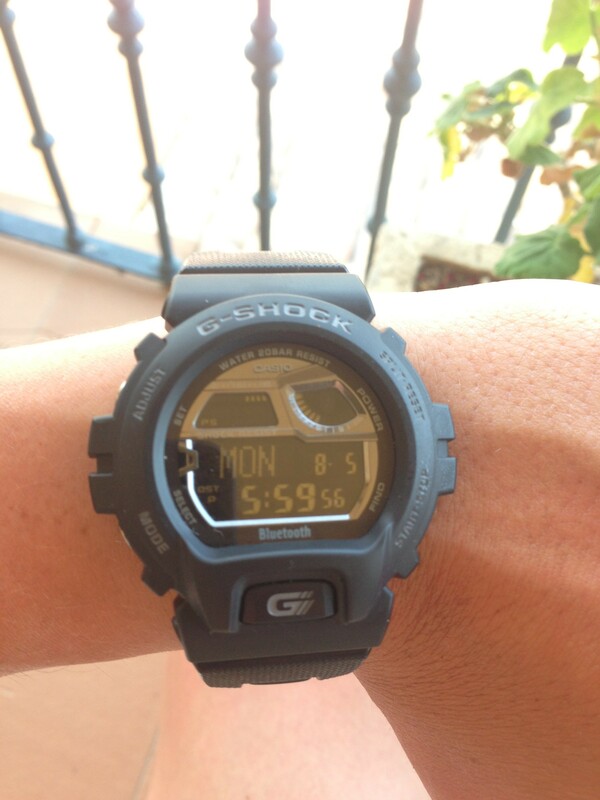 I started becoming interested in G-Shocks at the beginning of the year and the GB6900 was the second one I purchased. I was lucky enough to pick mine up for a very good price during a sale in the summer at the Casio shop in Covent Garden in London. 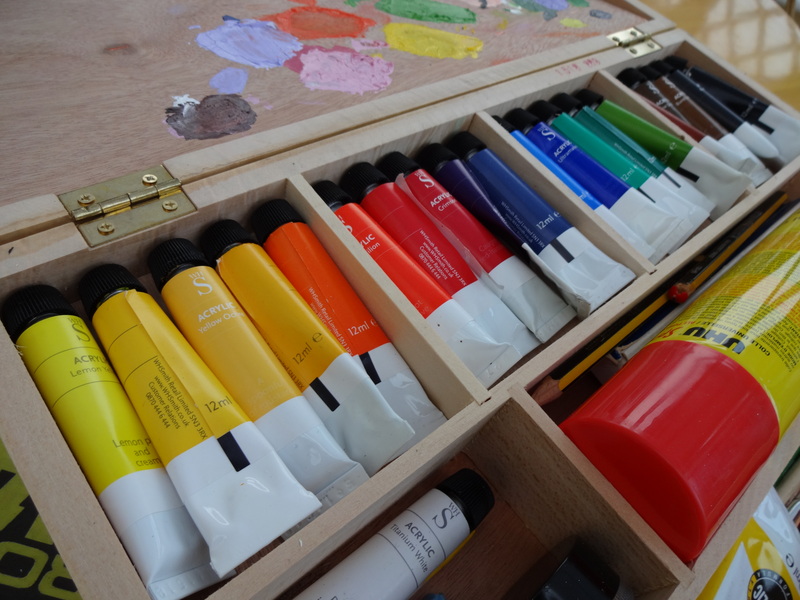 The version that I have currently sells for around £130 on Amazon UK. 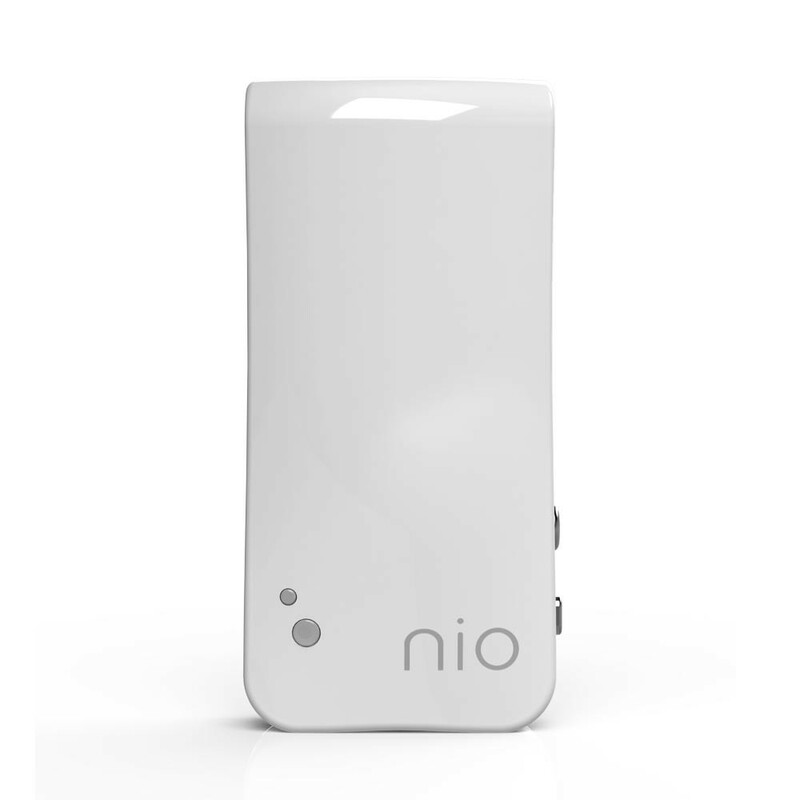 A second generation device has now been released that sells for around £50 more. I will go into some of the differences later in the article. 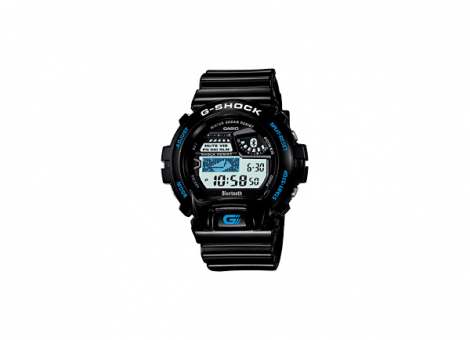 The watch is first and foremost a G-Shock watch and all of the most expected functions are present. These include world time, 5 alarms, stop watch and countdown timer. The watch is 200m water resistant and is regarded as a very rugged watch. Vey similar watches are used by many military and law enforcement personnel as well as being certified for use by NASA! 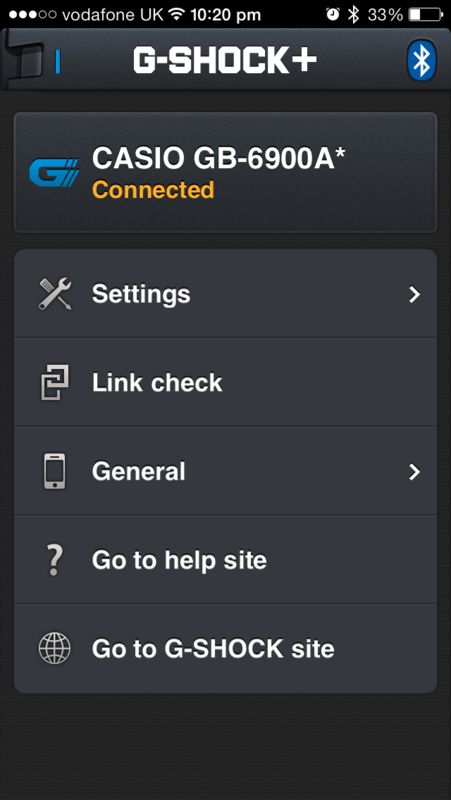 An additional feature found on the GB6900 is of course bluetooth 4.0 low energy connectivity to Apple and Android smartphones. All Apple iPhones since the 4S support BT4.0 LE but so far only limited Android devices have been supported. This has been due to limitations on both the hardware and software sides but more will be supported going forward. One of the slightly irritating aspects of G-Shock watches is that reading the instruction manual is almost essential. This is especially true of the bluetooth pairing process. It is easy enough to do and once you’ve done it once, you’ll be able to do it again easily but reading the instructions is required . 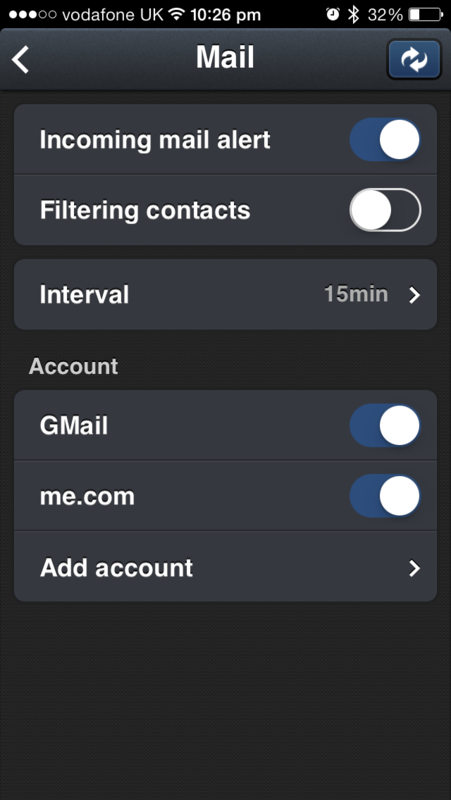 On the iPhone you can be alerted (by sound, vibration or both) of incoming calls, new emails, twitter notifications (mentions and timeline update – Advice on this, turn timeline updates off! 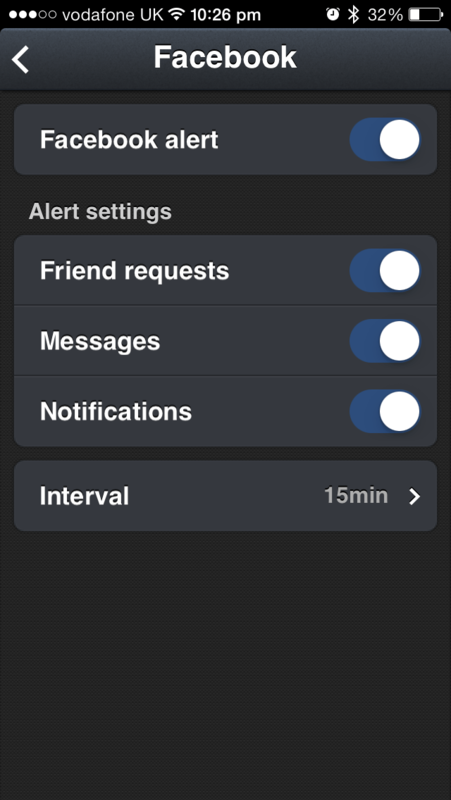 ), Facebook notifications, Weibo (a Chinese social network), calendar alerts and reminders. 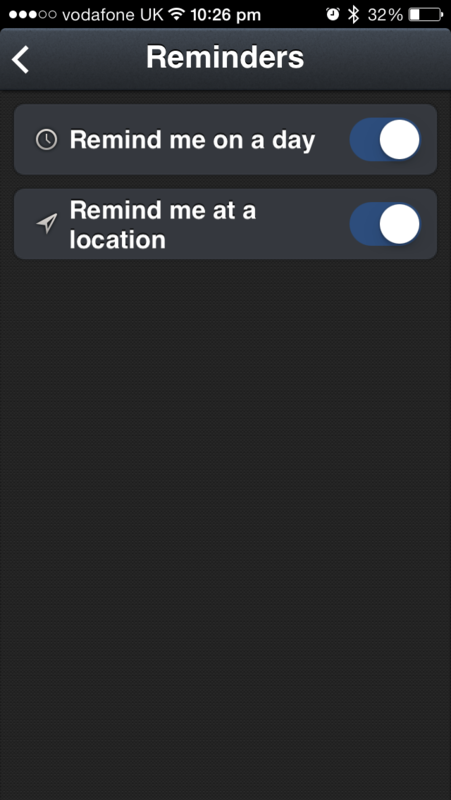 Apart from the incoming call alert, none of the notifications are pushed to you. 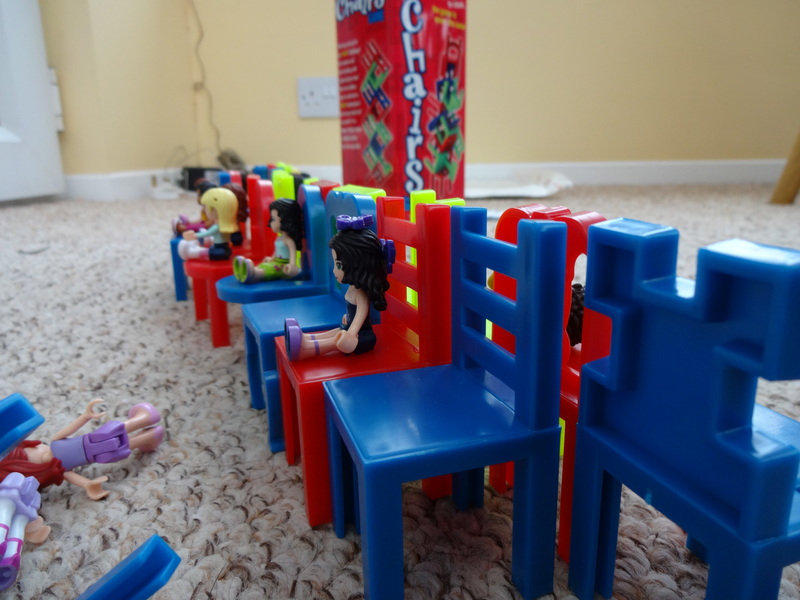 They are instead checked on a 5, 10 or 15 minute schedule and the times can all be set independently. of each other. 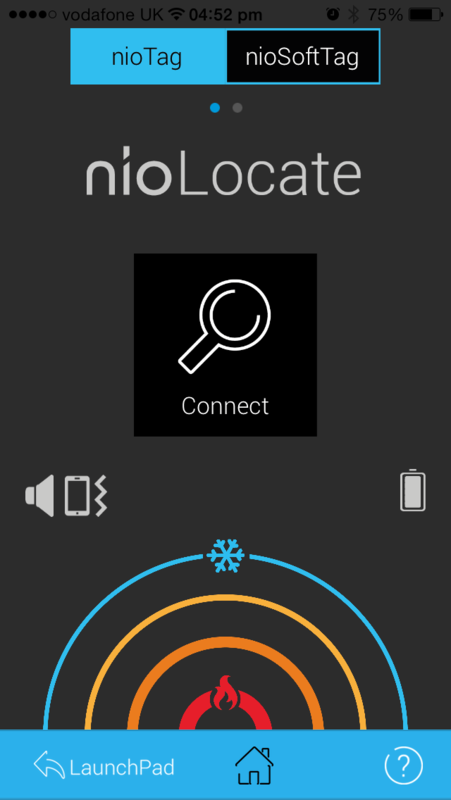 One semi-useful feature is that by pressing a button on the watch, the connected phone will play a tone so that you can find it if you’ve put it down somewhere and can’t find it easily. The reason that this is only semi-useful is that the two devices need to be connected to each other. This means you need to be in range of where the watch actually is so you’d stand a good chance of finding it pretty easily anyway. 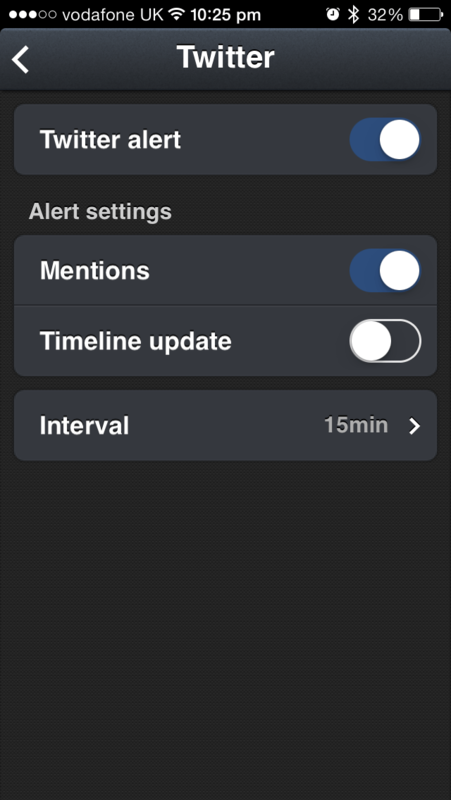 The time on the watch can also be automatically updated to match that of the phone. This is very useful when traveling across different timezones. What does the V2 have that the V1 does not? The second generation device adds additional features which seem like they would be quite useful. 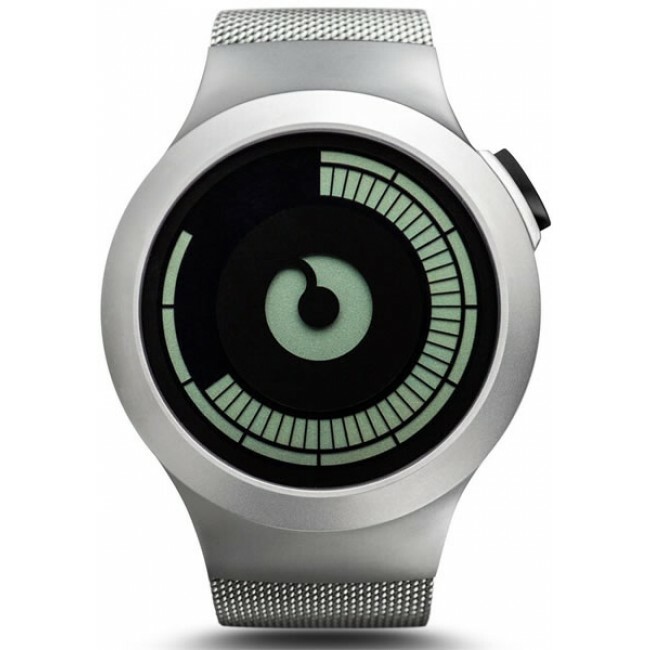 The watch can control music playback on the phone and the phone can be used to set alarms on the watch! They seem like good additions but are they worth the extra money? I would say that they aren’t and that is because of one reason! Have you ever been in a situation where you just simply don’t hear or feel your phone ringing? Have you ever been waiting for an important call or email to come in and sat there waiting with your phone in your hand? 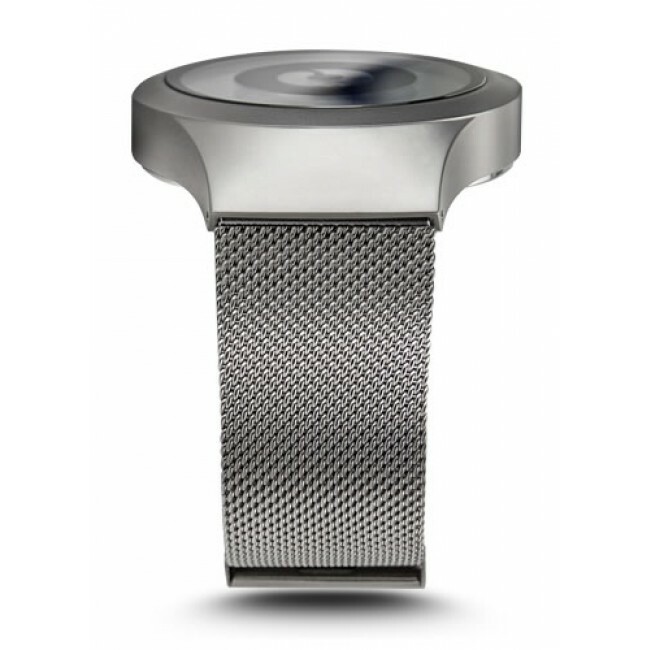 This watch solves the problem as the vibration alert is just right to get your attention and give you just enough information to deal with what ever it is. You know that you’ve got a call or who the email is from. You can then deal with it on your smartphone or ignore it. Some of the competing devices that are more full functioned would have you trying to use them to do tasks that would be much better performed on the phone. These other devices would also need to be charged up at best every few days. Not so the GB6900! Casio estimate that the battery will last for 2 years if you connect it to your phone for 12 hours a day, 7 days a week. In practice I find that I have it connected when I know that I’m going to be moving about and disconnect when I’m staying in one place. It is only a 3 second button press to turn the connection on and off and it’s all done from the watch. If you forget that it’s got the bluetooth at all, it’s still a great standalone G-Shock watch and excellent for any physical activities. It’s got a great backlight that is activated by pressing the “G” button on the front. It’s available in lots of different colours and best of all if you want to change the colour of the one you already have, different straps and covers can be purchased for around £30 to £50 for everything required. It’s quite a large watch and might not look so great with a suit or smart clothes especially if you chose one of the more vibrant colour schemes. Mine spends most of the time in a matt back colour scheme rather that the metallic brown seen in most of the pictures in the review and it only takes a couple of minutes to swap over. The only bothersome part is finding a screwdriver the correct size to remove the 4 tiny screws holding the bezel on. Due to the size it also might not suit you if you have a very small wrist. Ive found it to be an exceptionally comfortable watch as despite looking a large watch it is very light and the resin strap is very flexible. Just a quick review of a case that I picked up at the weekend for my new iPhone 5S that I’ve been using since launch day without a case. I previously had an iPhone 5 and I used that with a shell case from launch day until I got the new S model. I was quite shocked at the condition that the iPhone was in. It appeared that small pieces of grit had somehow managed to get between the case and the phone and has scratched the finish off the edge of the phone. I decided that I wouldn’t be using this case with my new 5S but I tried it on there for an hour or so and it felt a little loose on the new phone. I decided that I would use the phone without a case and see how I got on. 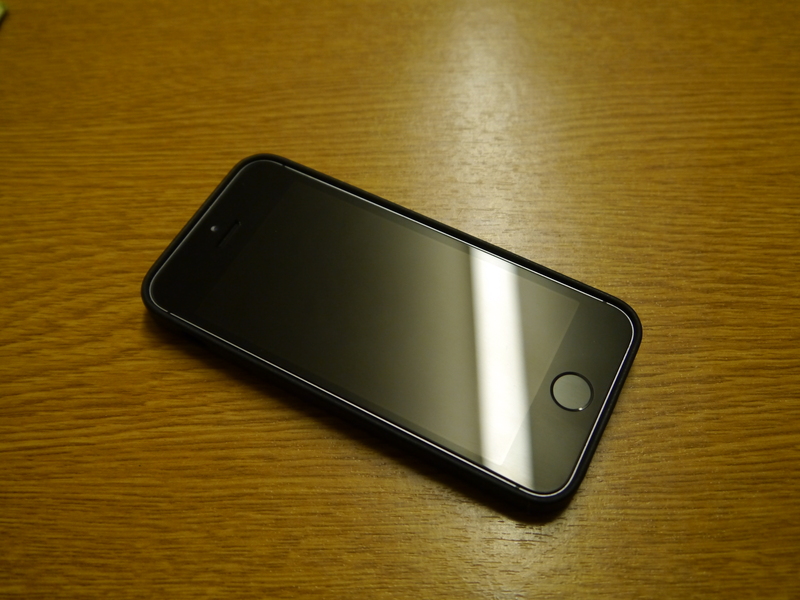 I quickly found that I don’t like the way the iPhone 5/5S feels without anything on. It is too slippery and too thin for my liking and I was constantly scared that I was going to drop it whilst removing it from my pocket. Whilst walking past an Apple store I thought I’d take a look at the different cases that they had available and the Apple case really caught my eye for the simplicity and quality. 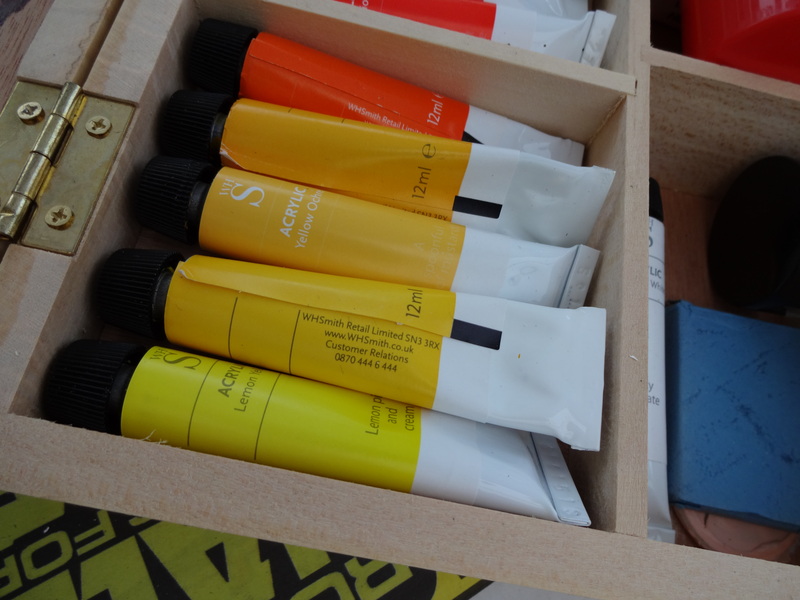 It seemed a little expensive at £35.00 but I thought that if I can buy one case and stand a good chance that it would look after the finish of my phone in everyday use it was worth a go. This is what your £35 gets you. I chose the black but it is also available in brown, beige, yellow, blue and a special (Product) Red version where some of the profits go to a Charity set up by Bono of U2. 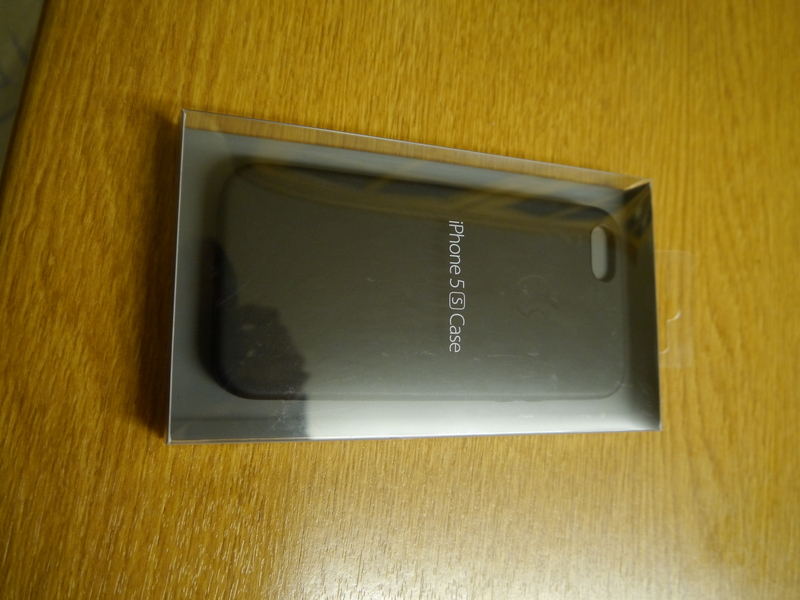 The back of the case has a nice embossed Apple logo and the leather feels very nice. There is a warning on the back of the packaging that the case is made of natural leather and that the finish will change with use. There is a nice large cut out for the camera and flash but all of the buttons are covered and have little bumps so that you can feel where they are. No need to try to reach through the case to press them with a fingernail here. Unfortunately apple chose not to replicate the ring/vibrate switch as part of the case and it might be a struggle for those with larger fingers to operate. As a plus it will not get knocked accidentally. 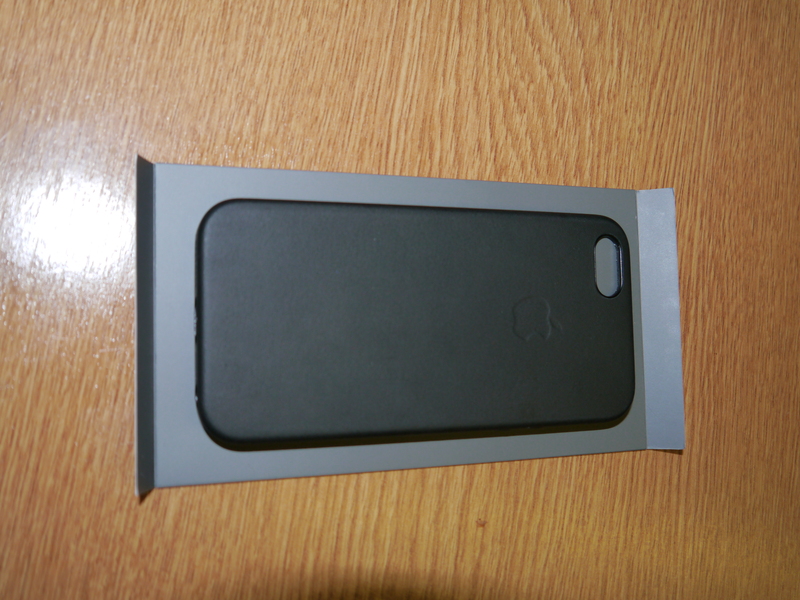 The case is lined with a nice, soft suede/micro-fibre material which should help to prevent scratches like I experienced before. Inserting the phone is easy, just push it in. The case fits the phone perfectly. If it had been any other way I would have been shocked. 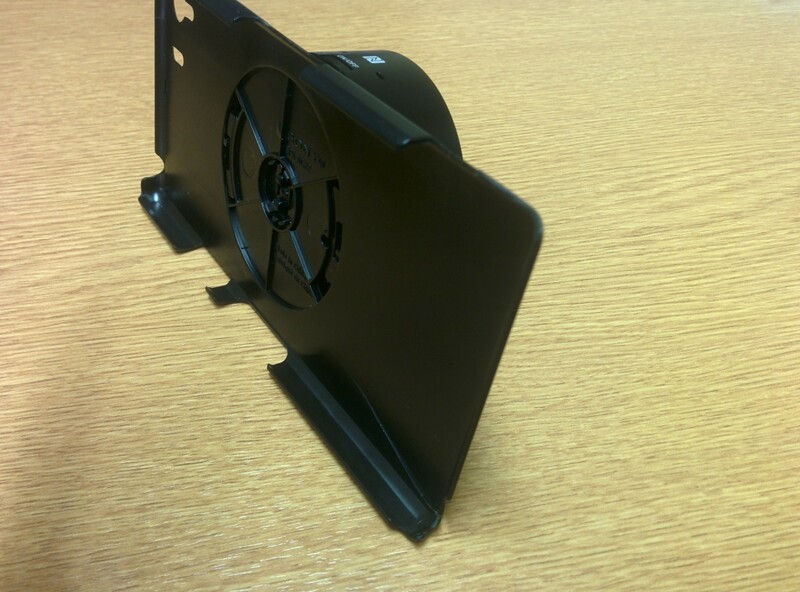 The case offers a small lip to provide some protection to the screen if laid on a surface face down. The headphone and Lightning connector ports are nicely exposed for the majority of things that you’d want to use them for but strangely the lighting connector will not work with one of Apple’s own accessories that I use every day. I have still not updated my bedside dock to one with native Lightning and so, I have been using the 30 Pin to Lighting adapter. As you will see this will not work with this case. The mic and speaker ports in the case line up perfectly with those on the phone and no difference in call quality or speaker volume can be noticed. 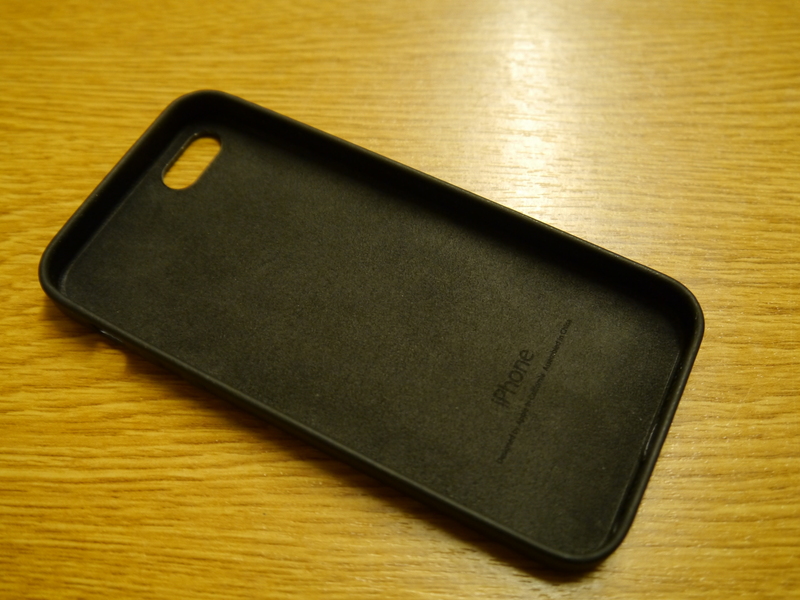 Apple iPhone 5s leather case Verdict. Over all I am extremely impressed with the case but it does have a couple of downsides but for me these are not enough to make me want to return it and search for something else. Ring/Vibrate a little difficult to access. £35 is quite a lot to spend on a case.